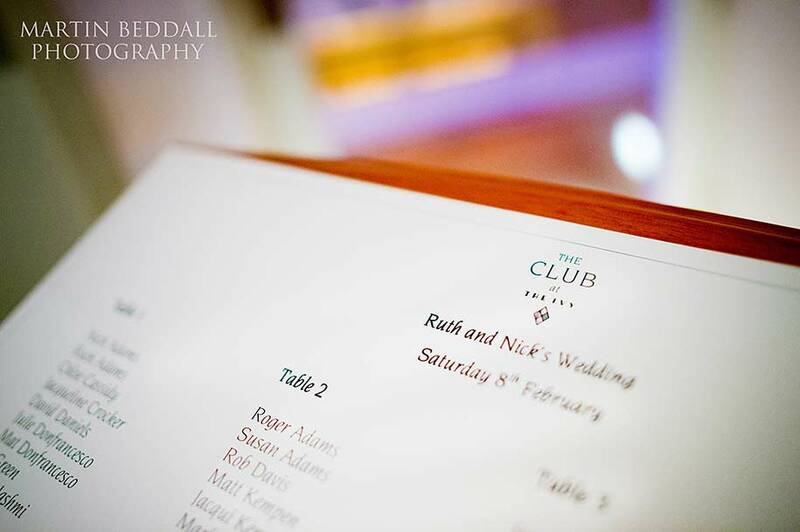 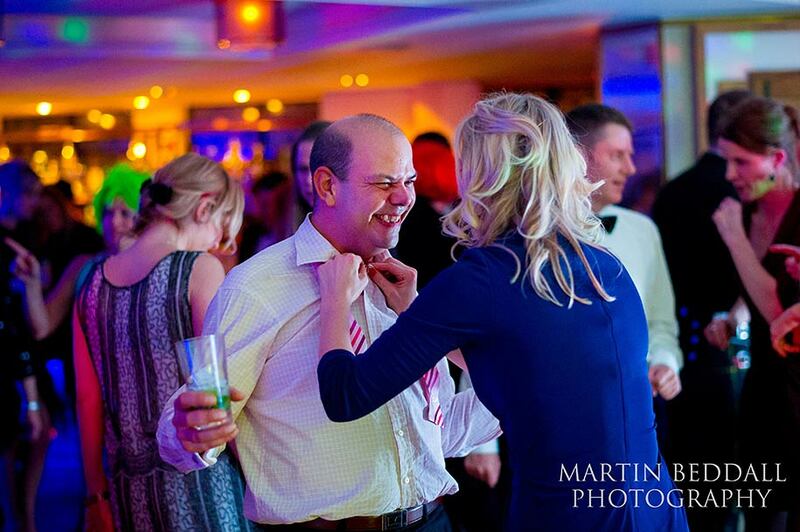 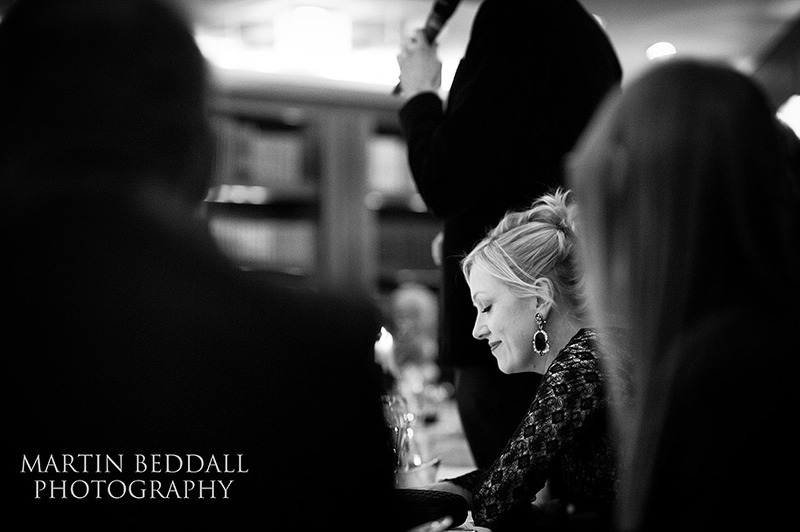 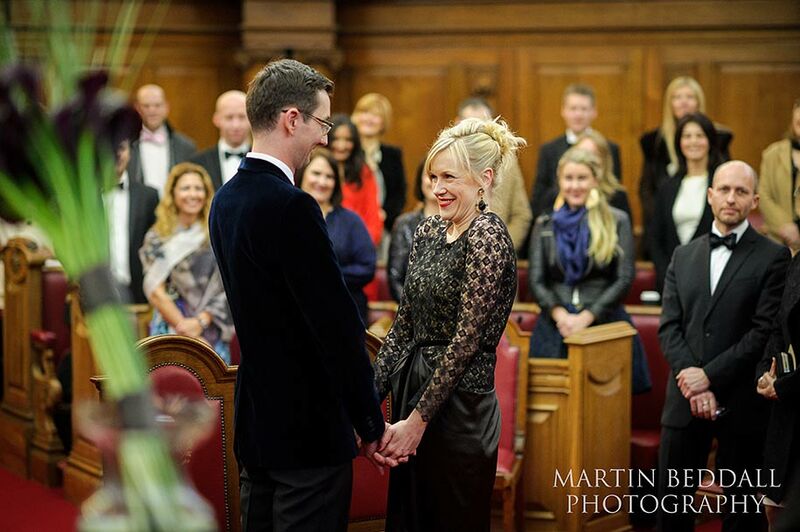 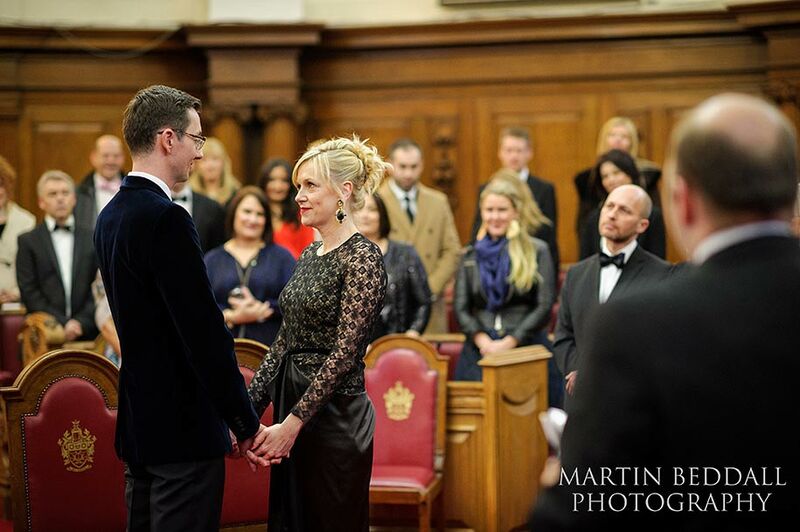 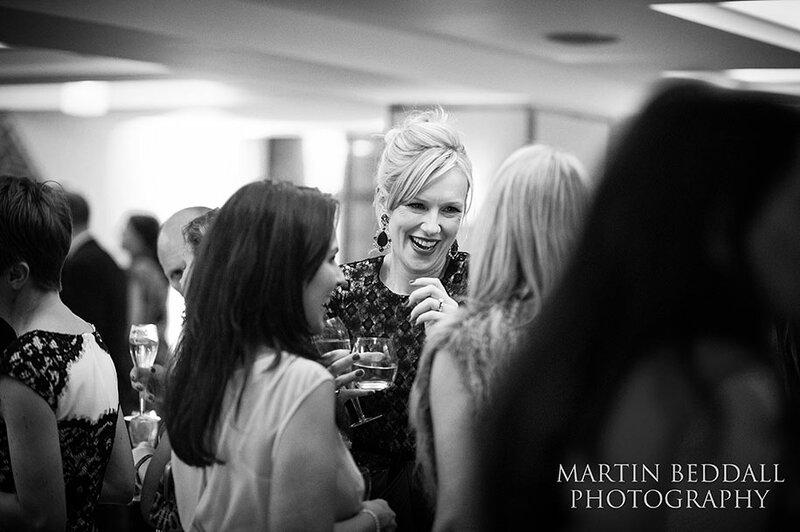 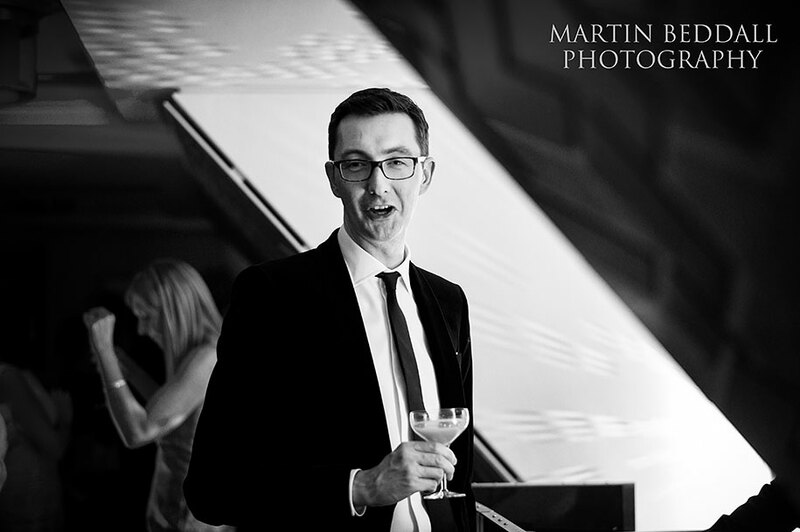 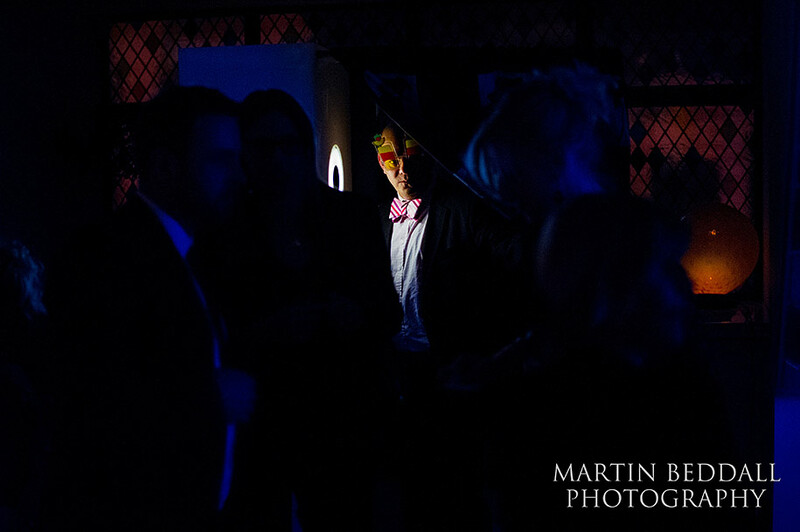 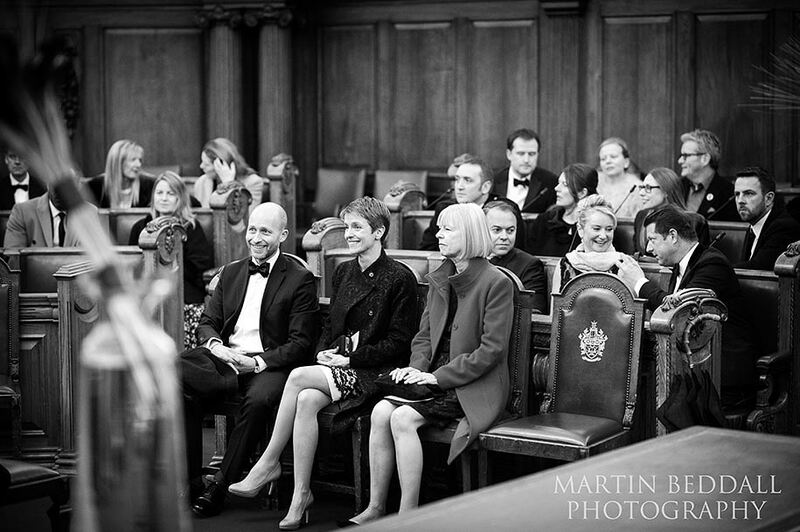 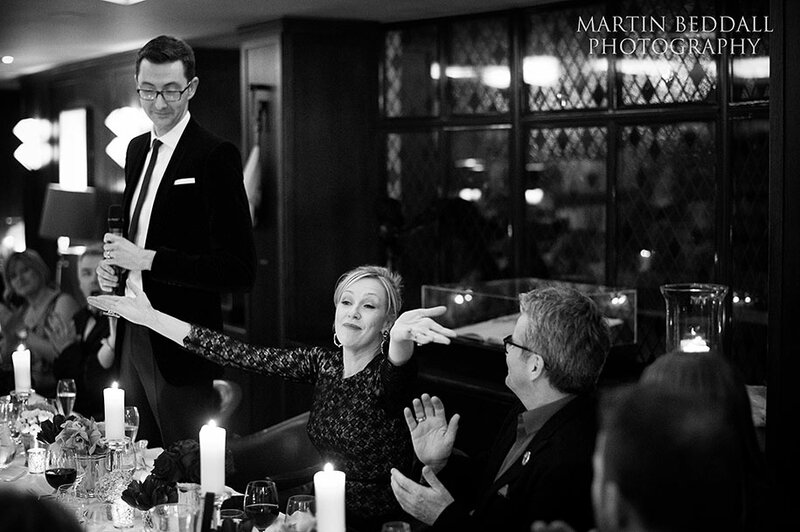 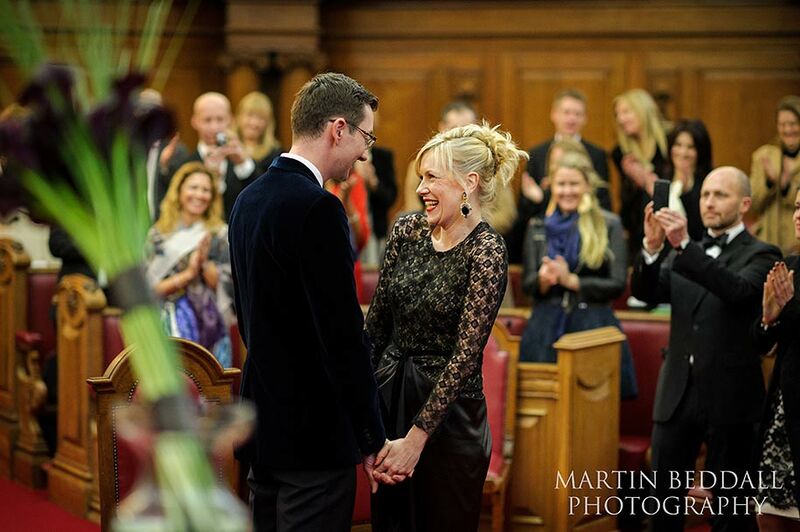 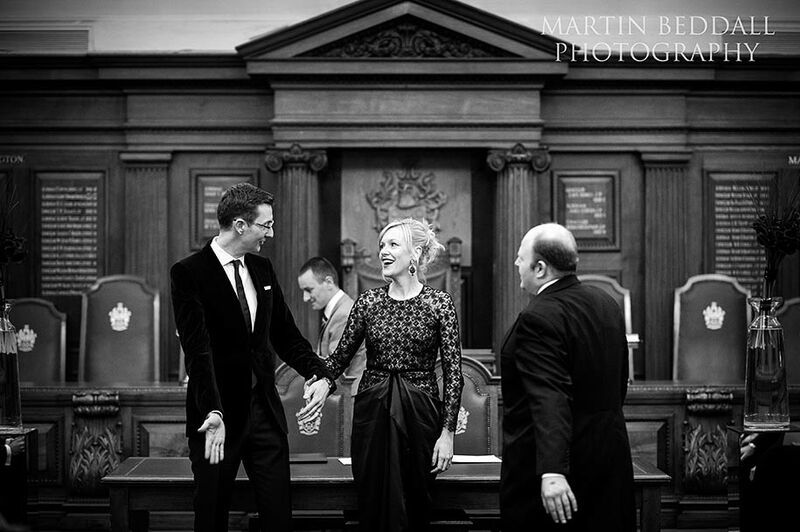 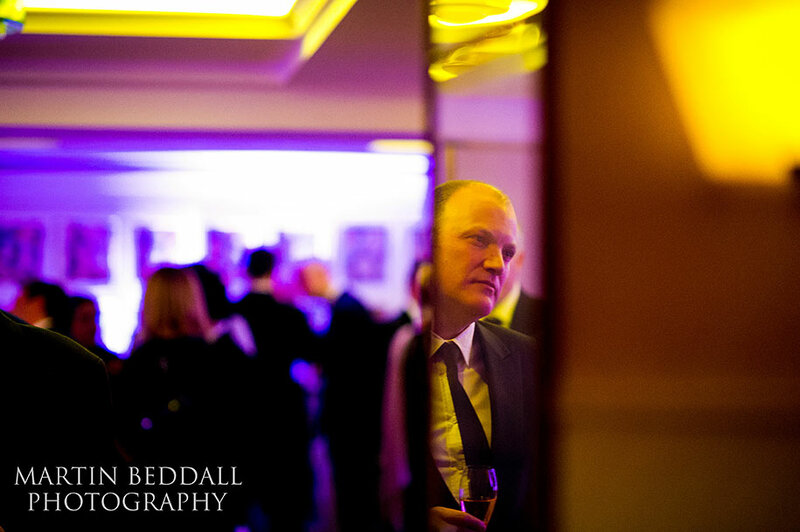 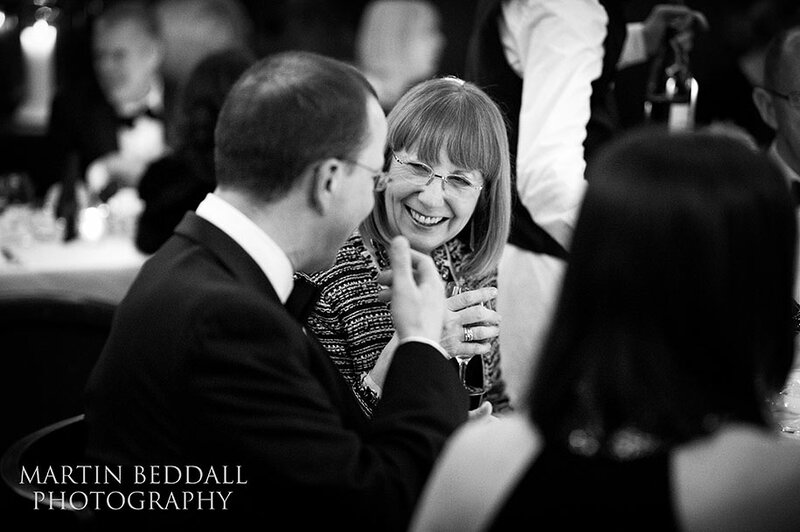 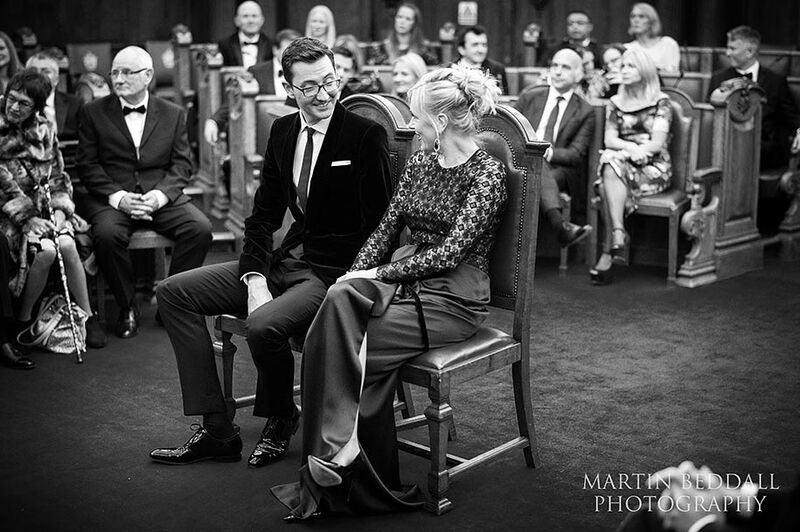 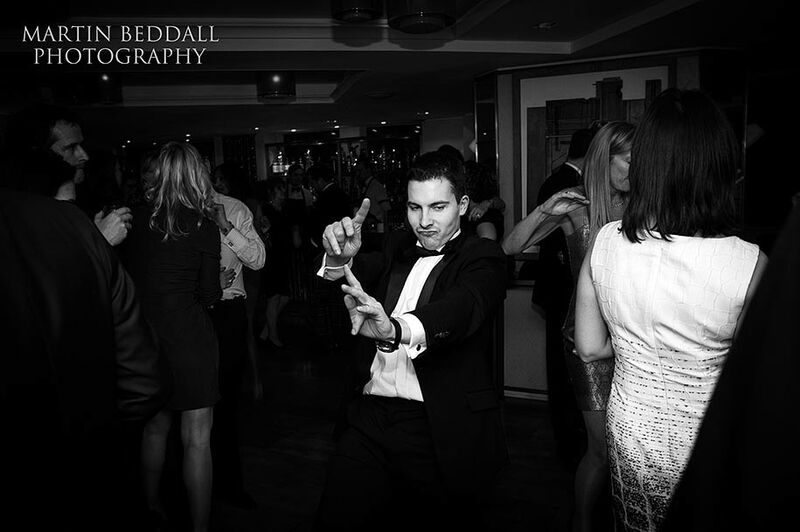 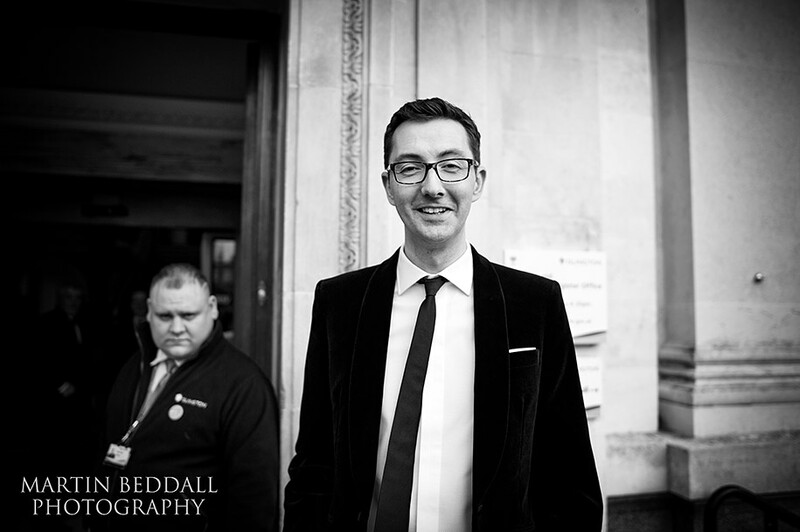 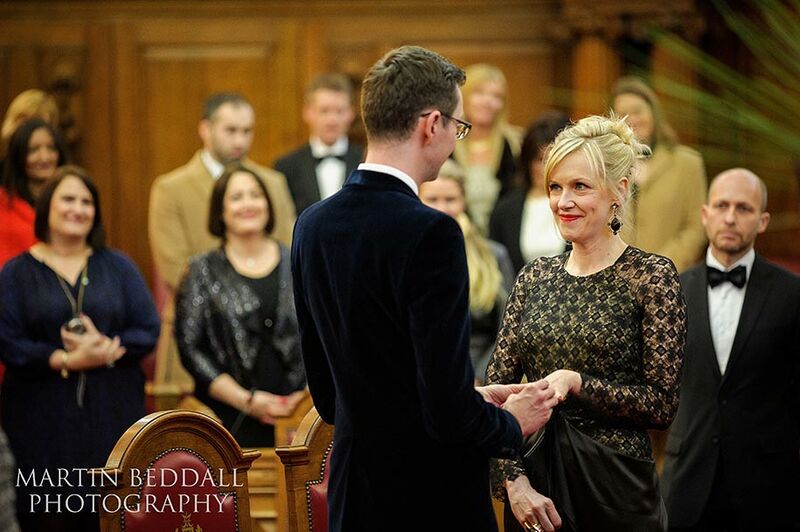 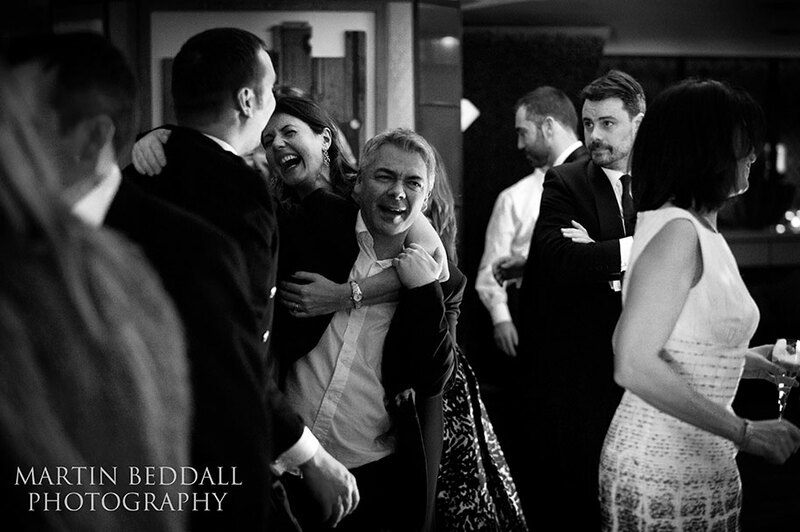 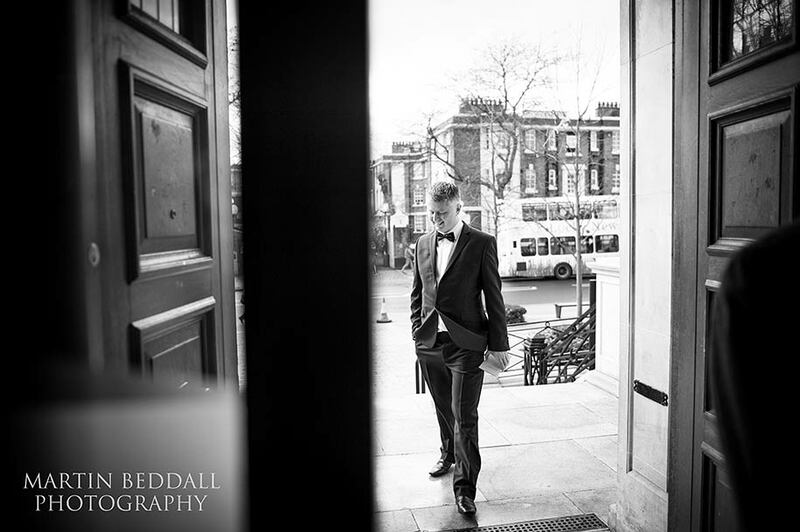 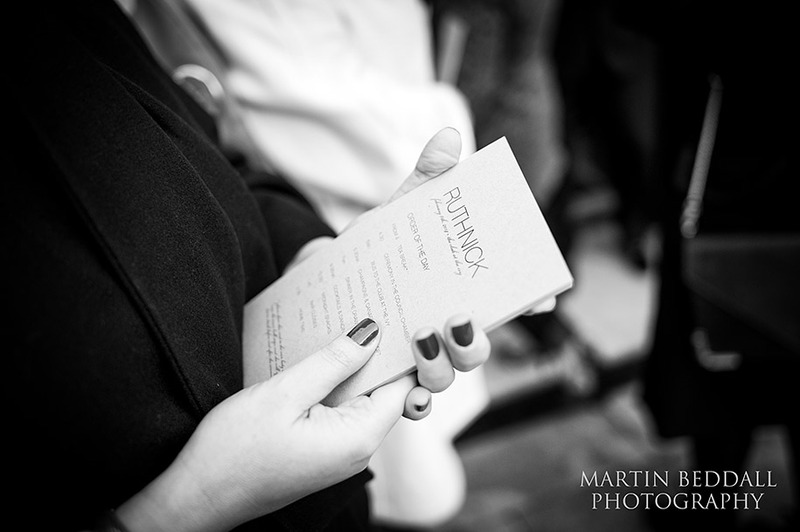 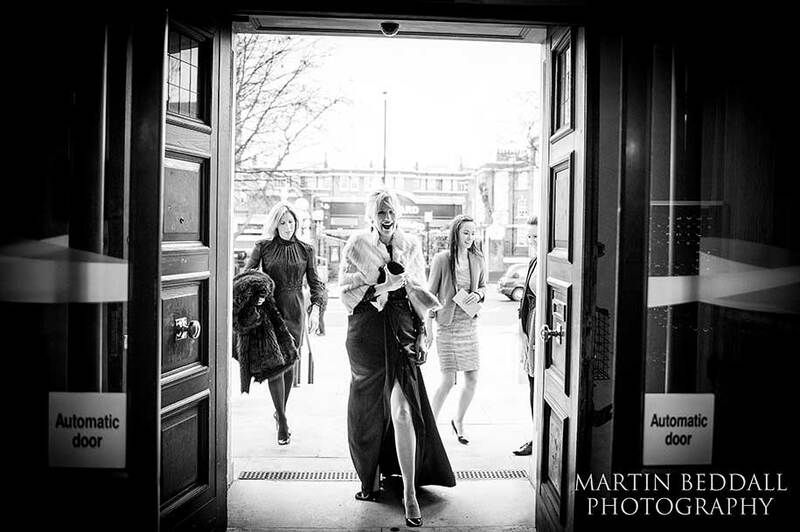 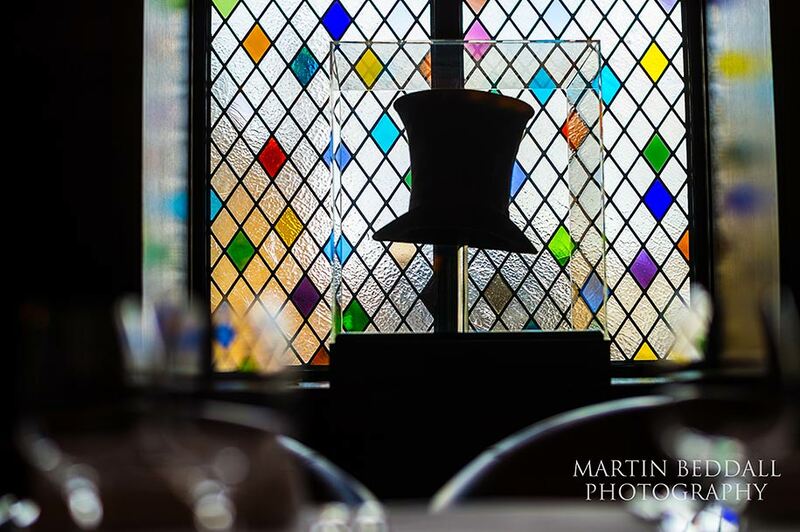 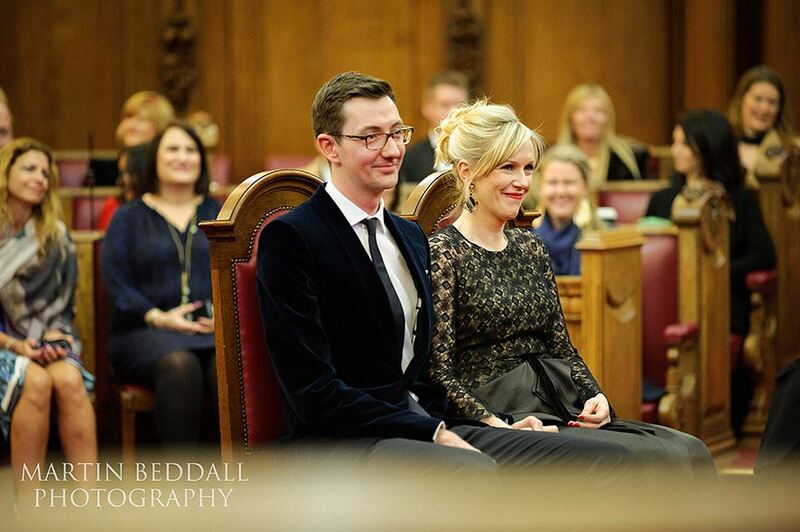 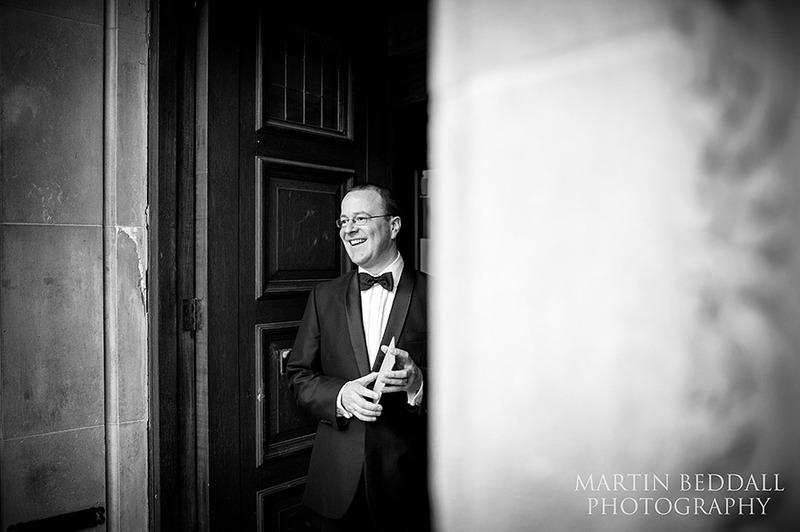 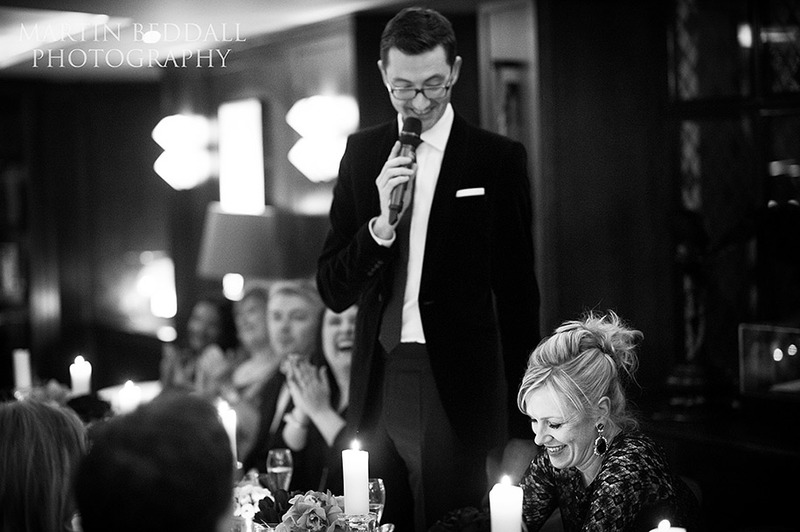 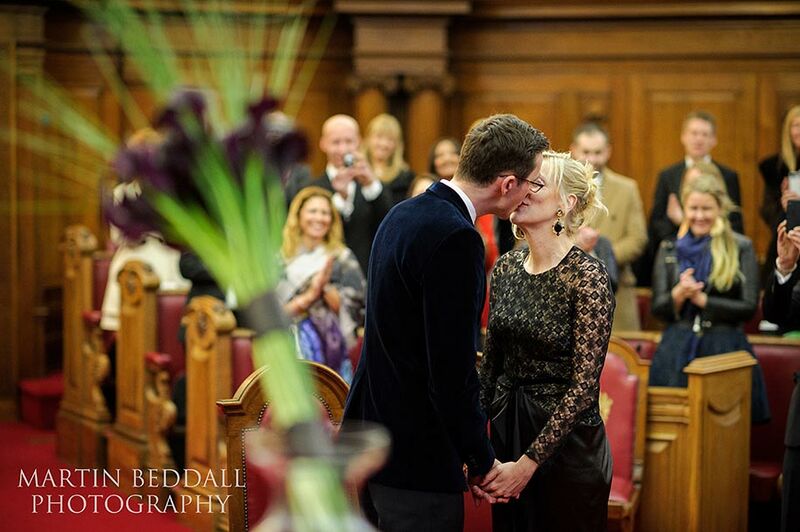 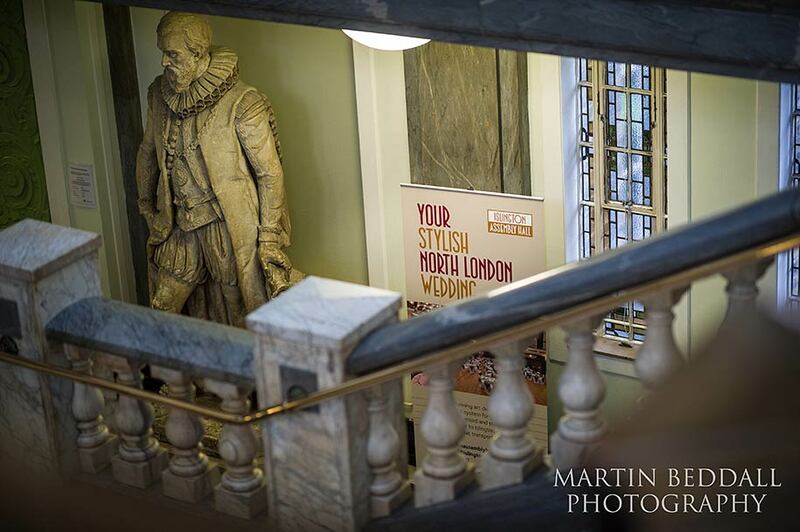 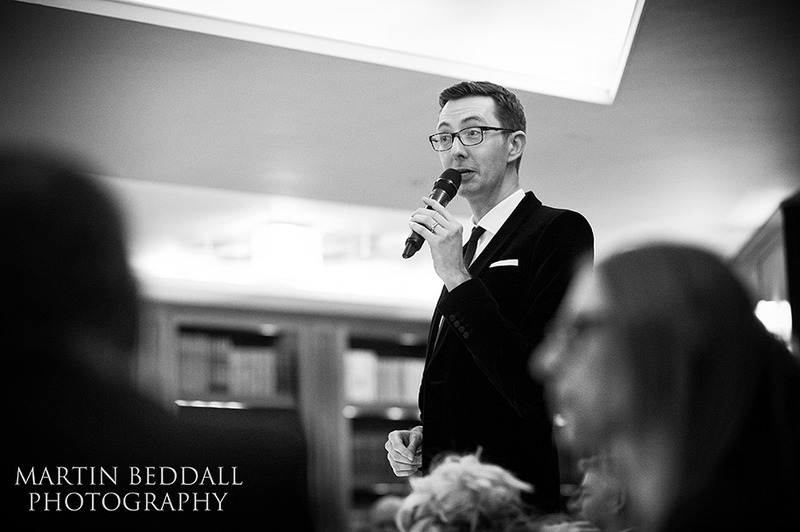 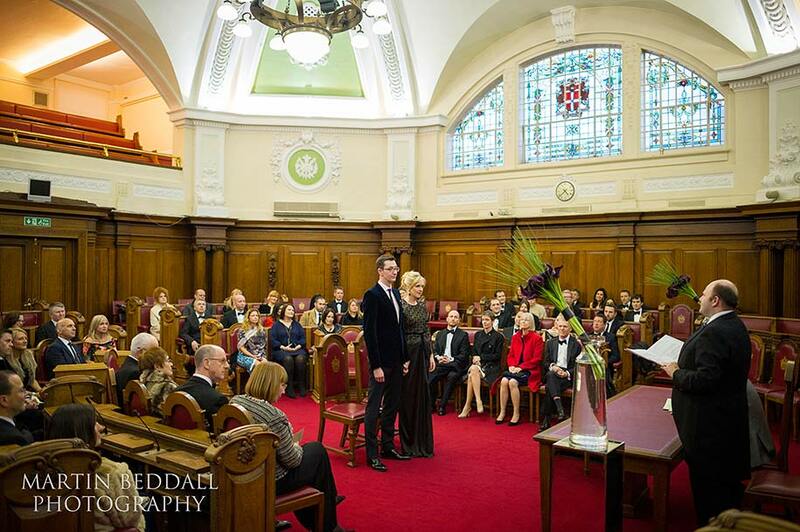 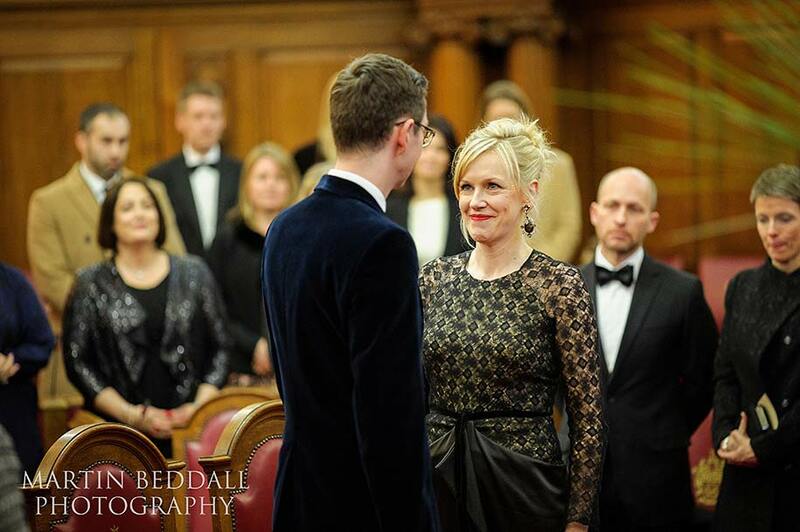 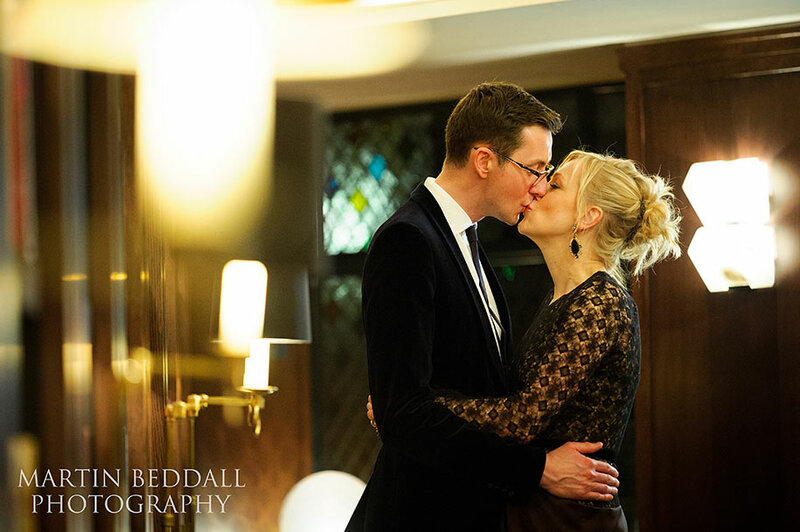 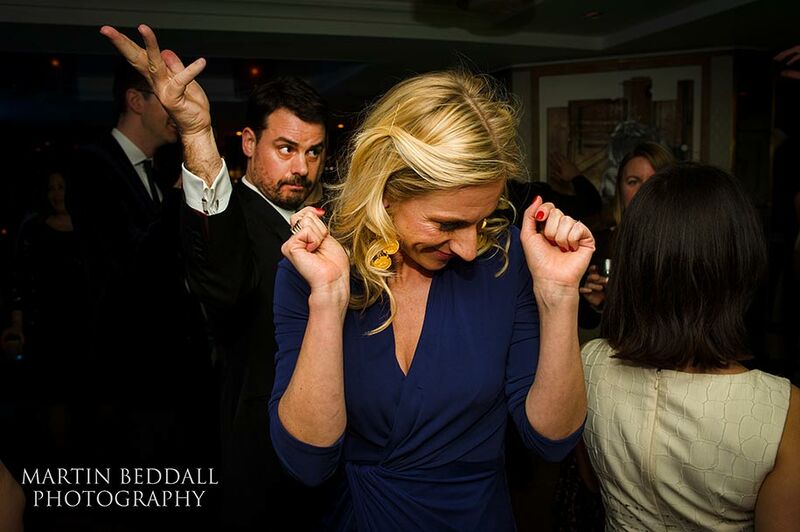 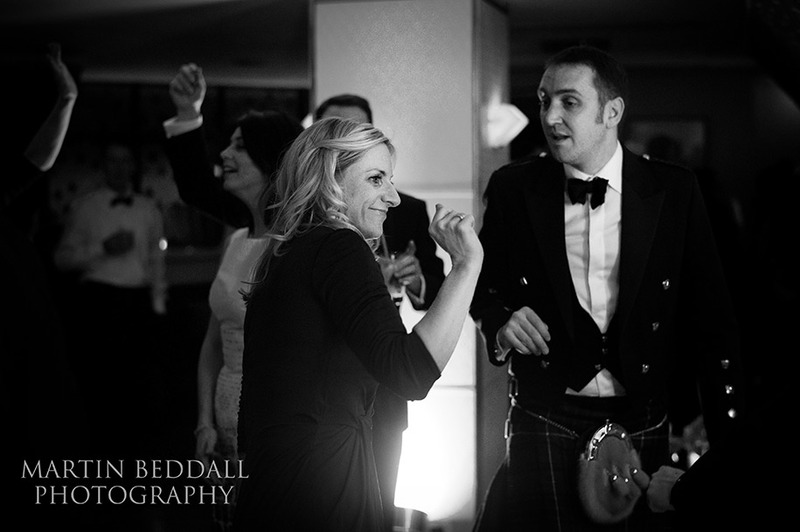 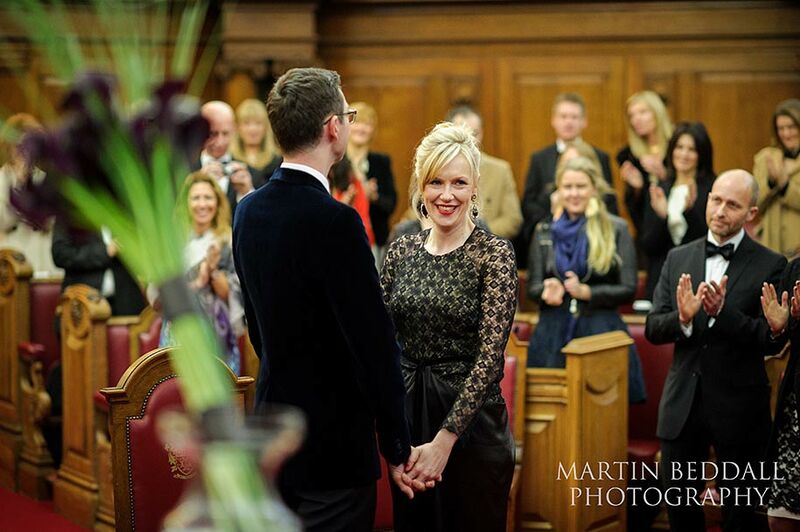 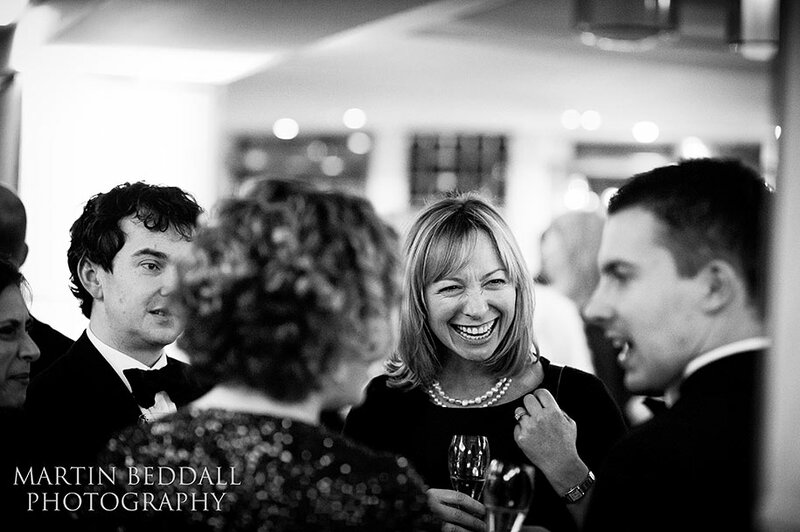 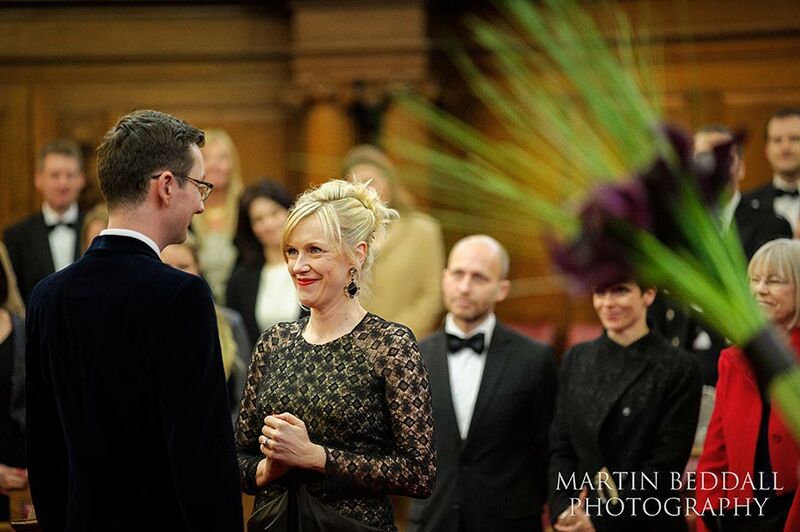 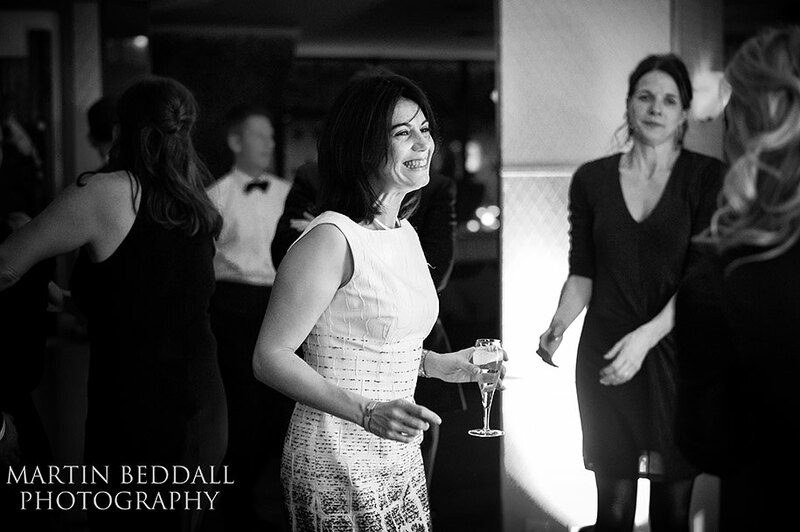 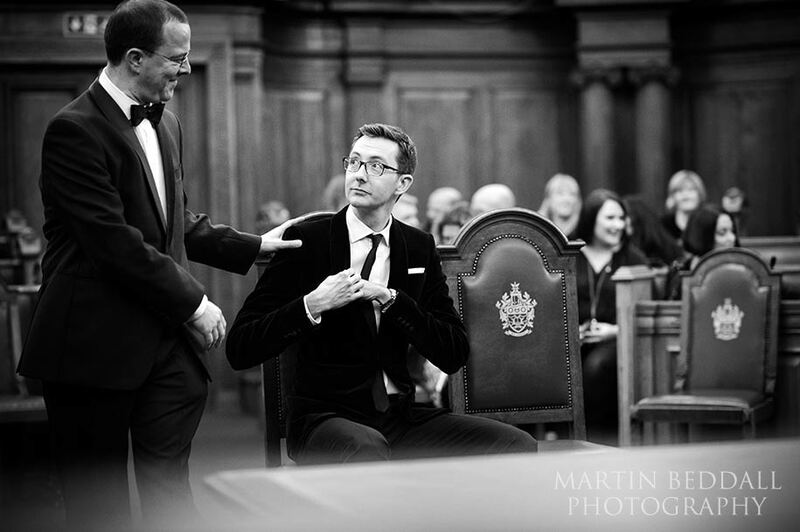 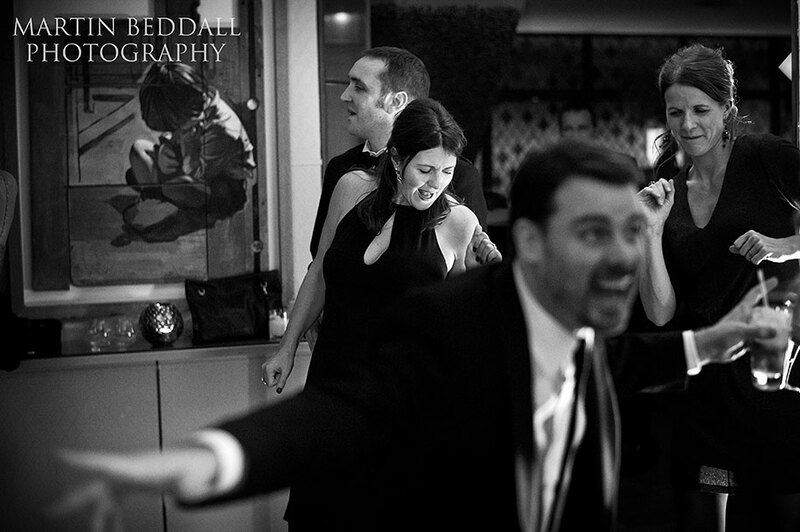 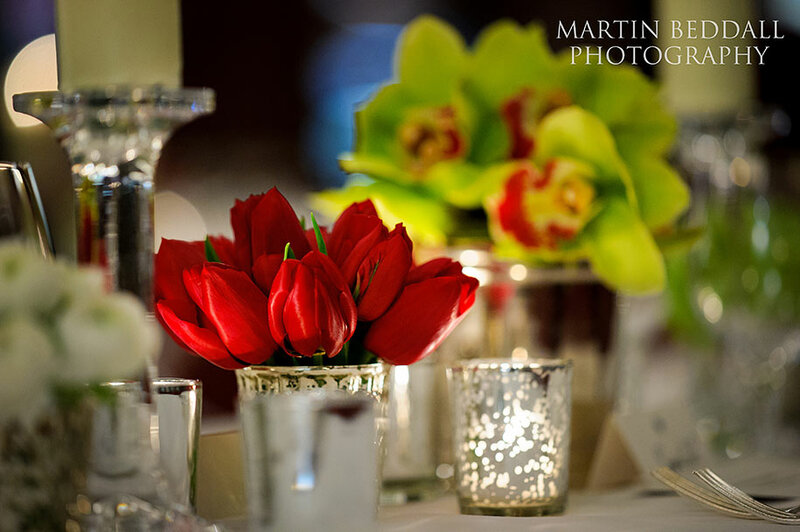 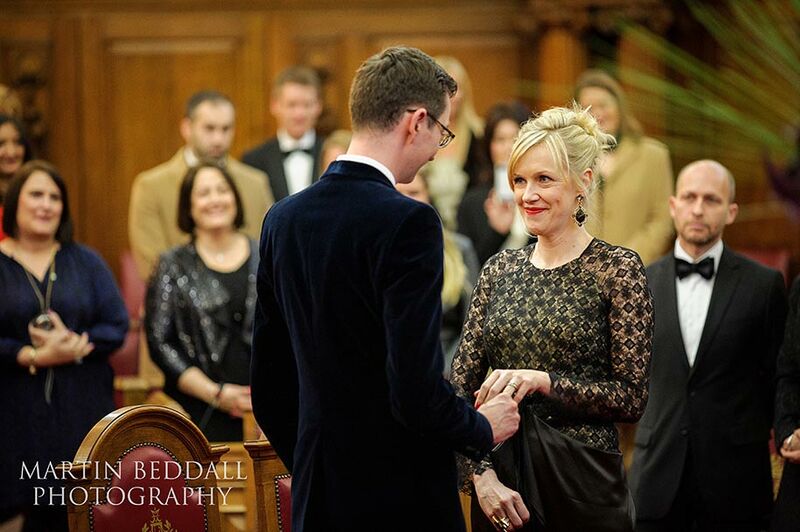 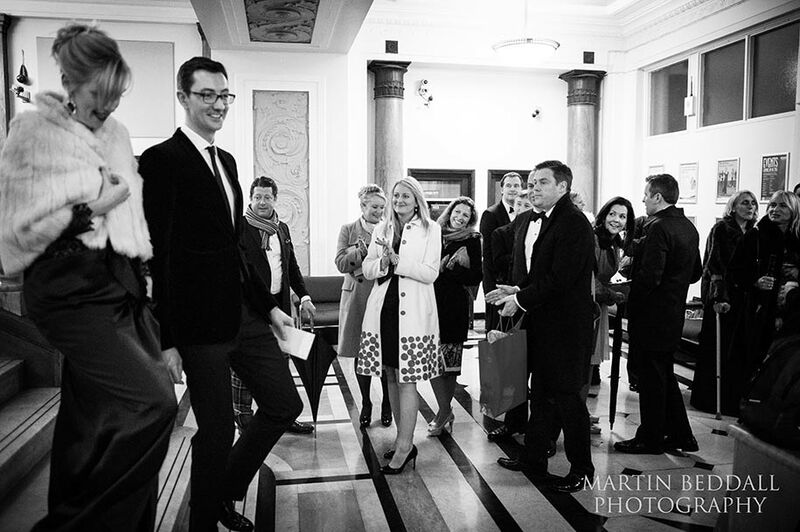 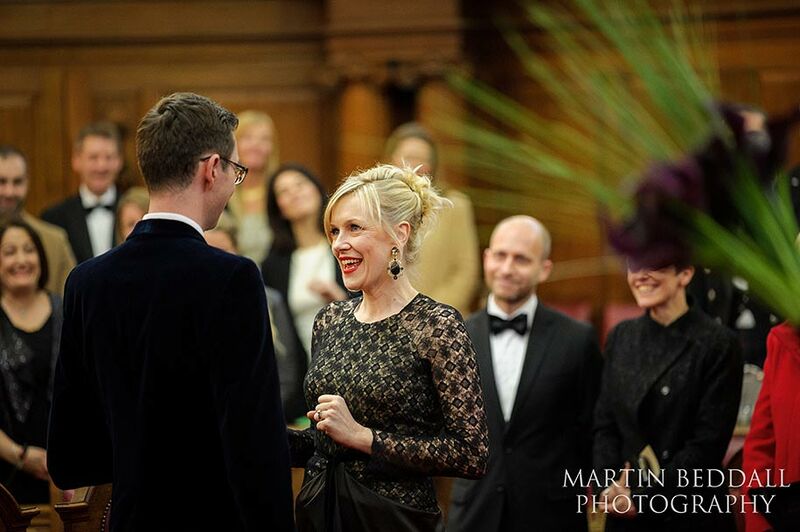 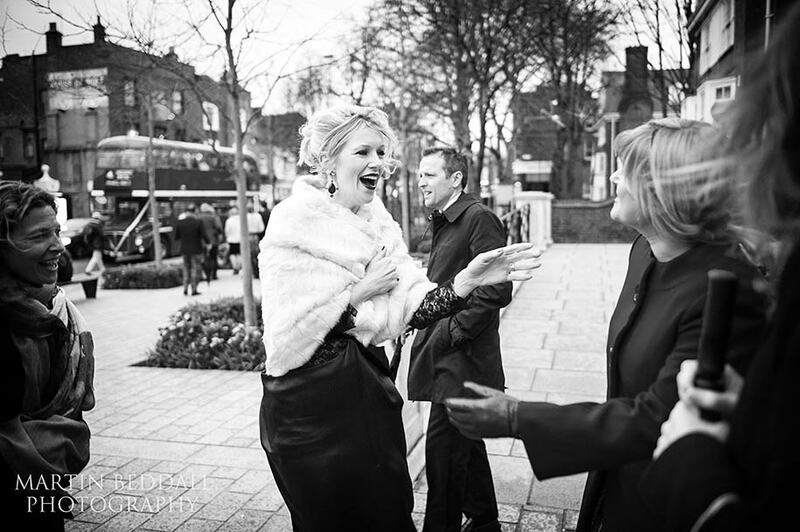 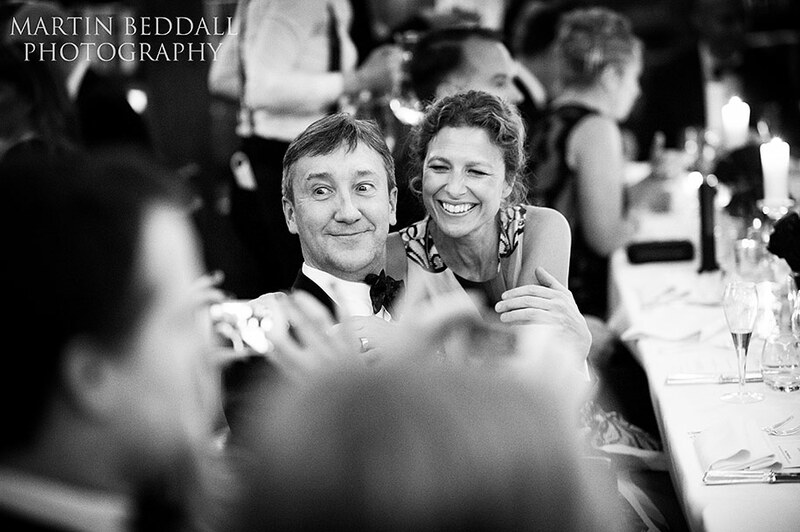 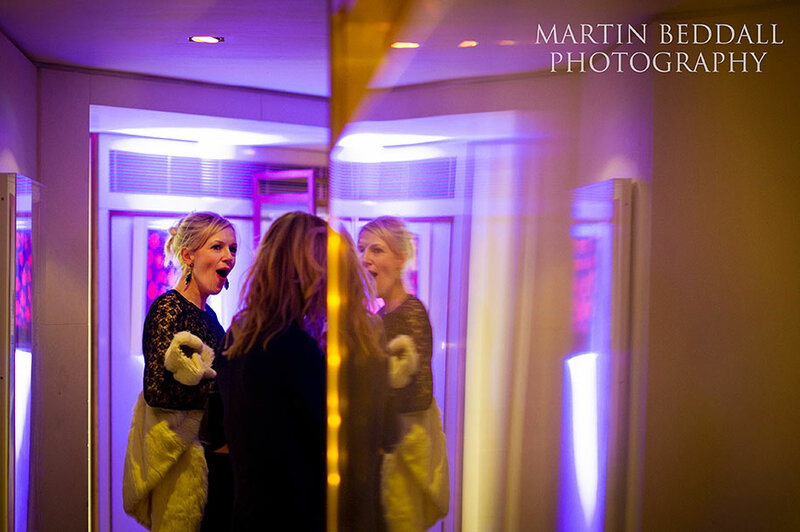 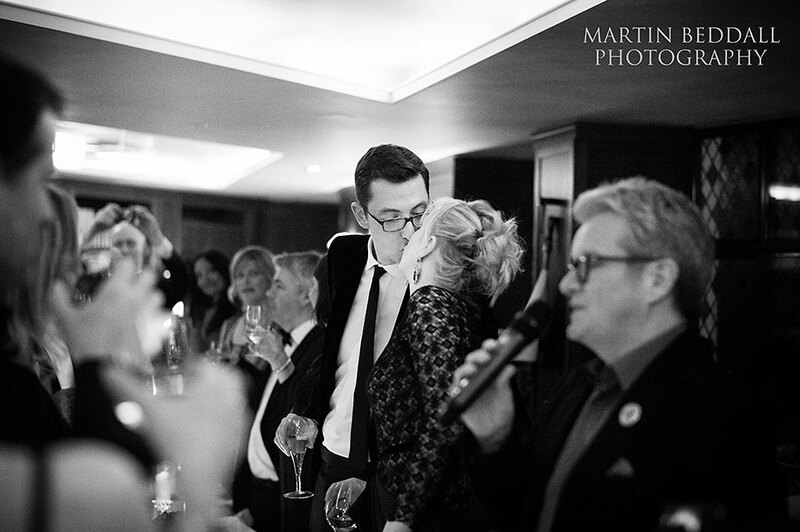 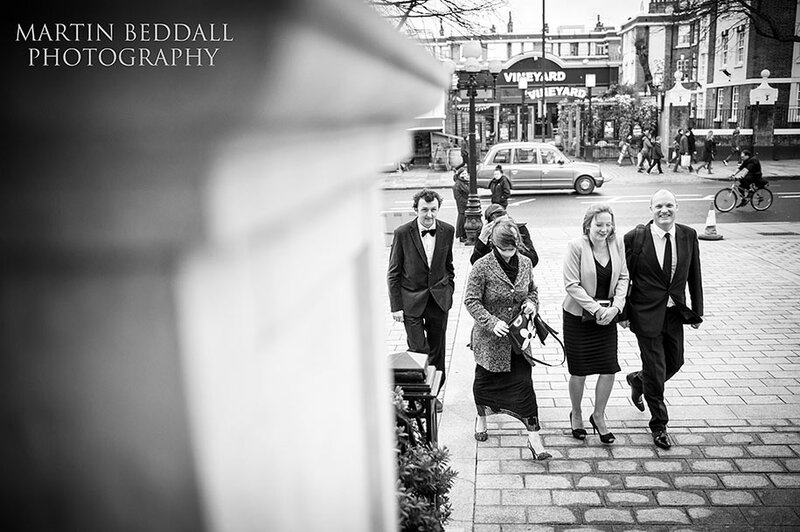 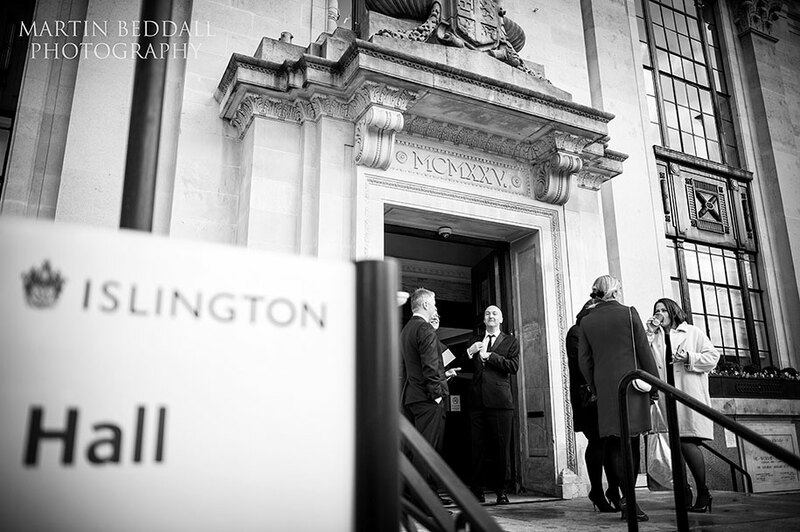 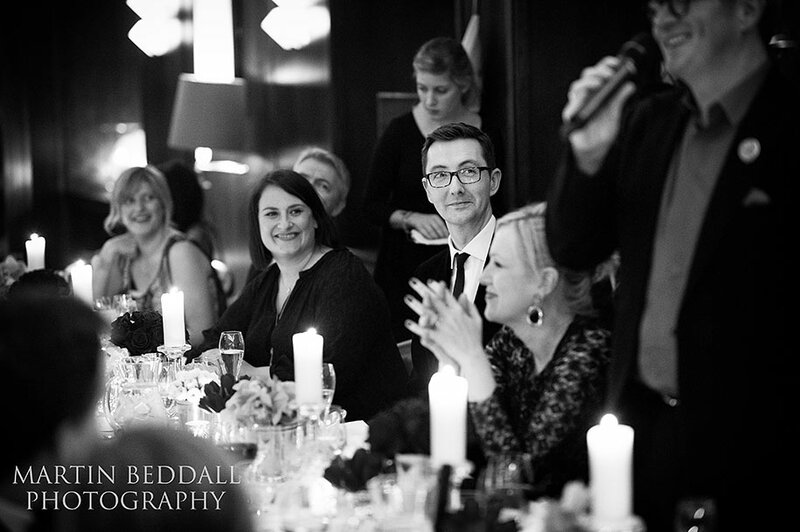 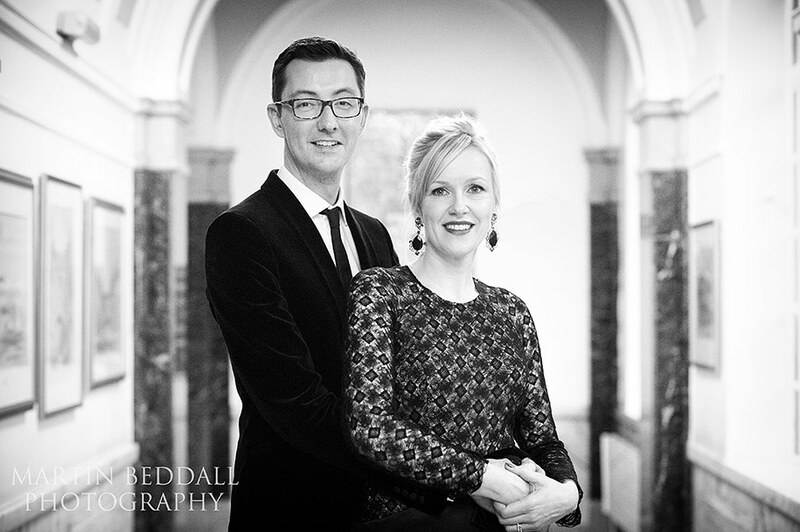 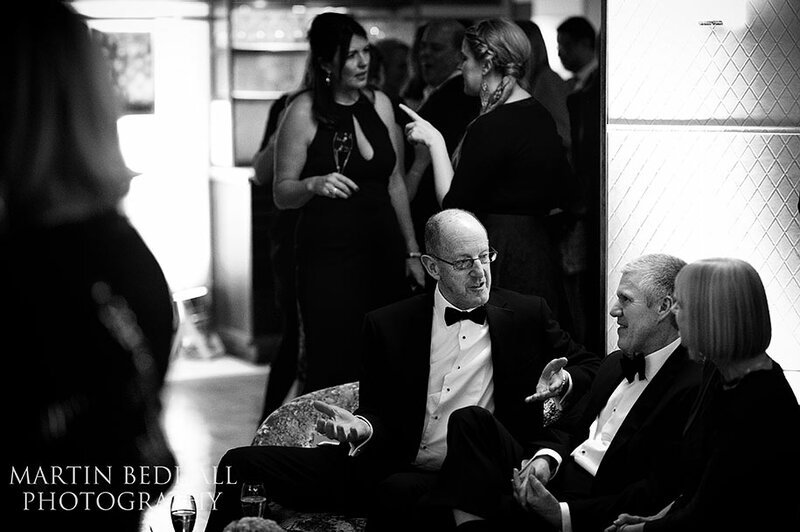 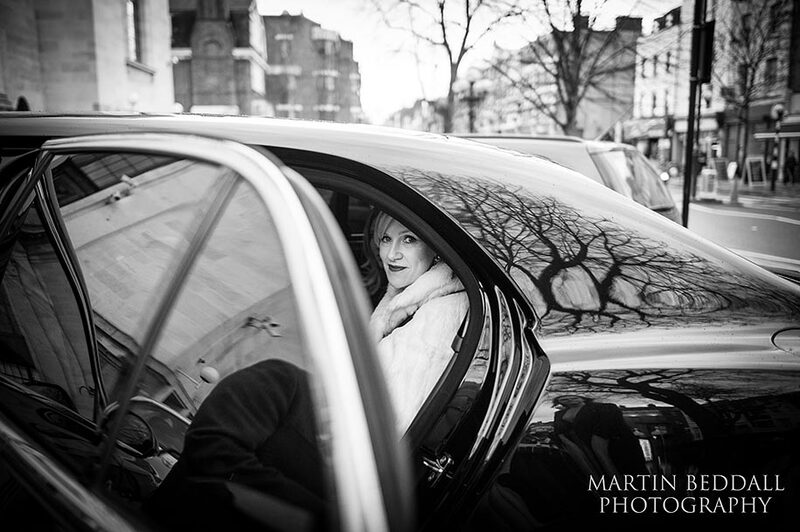 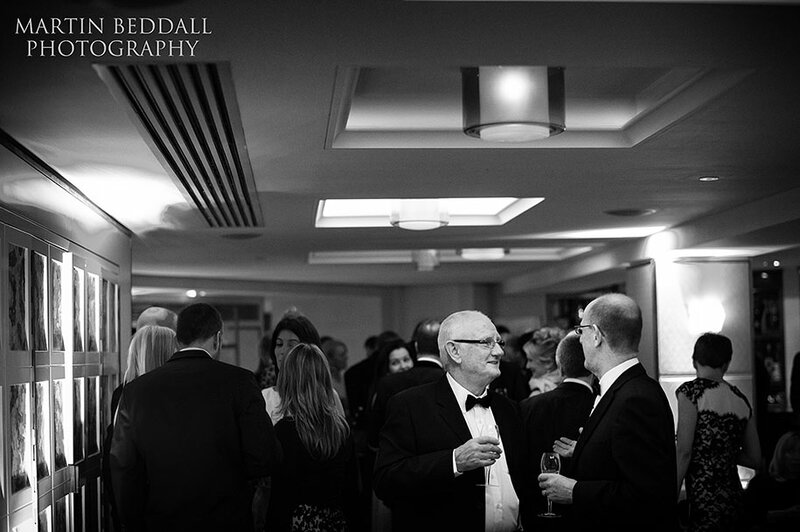 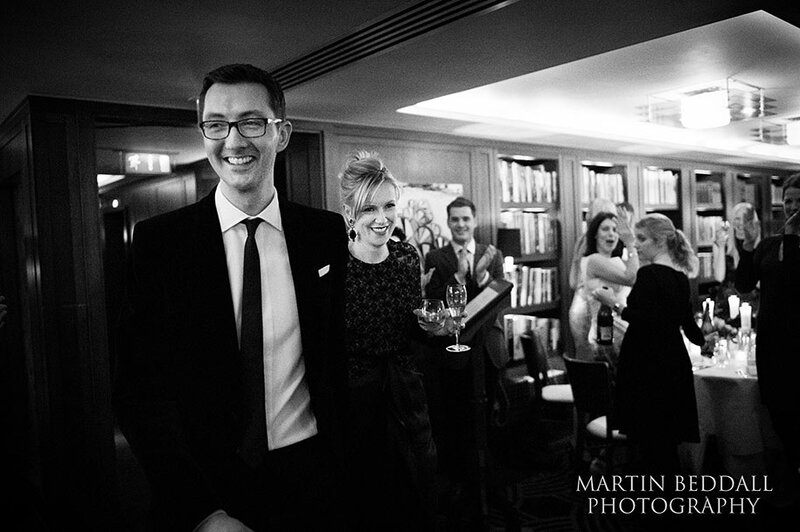 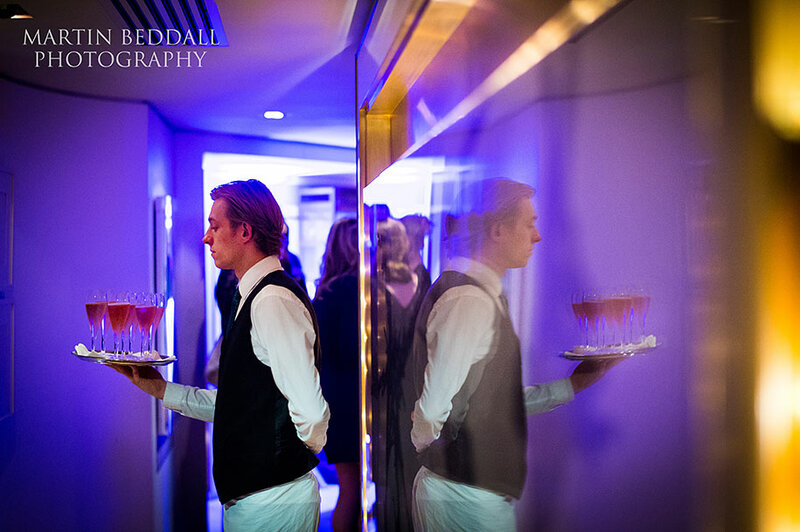 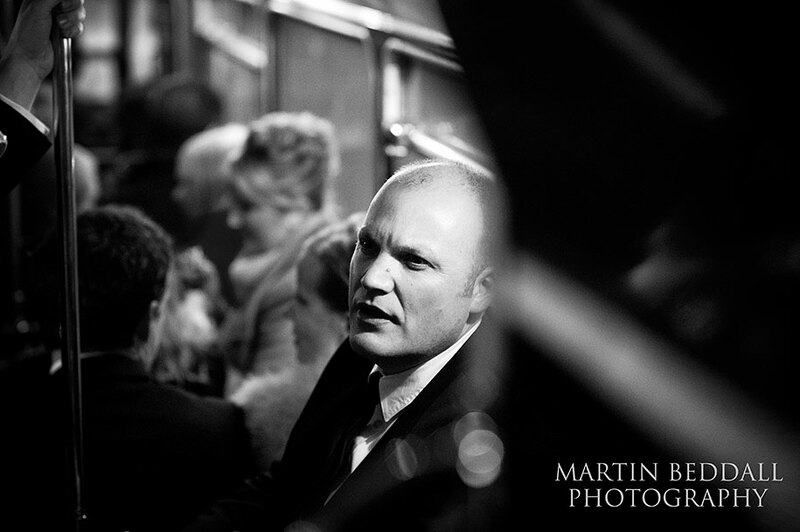 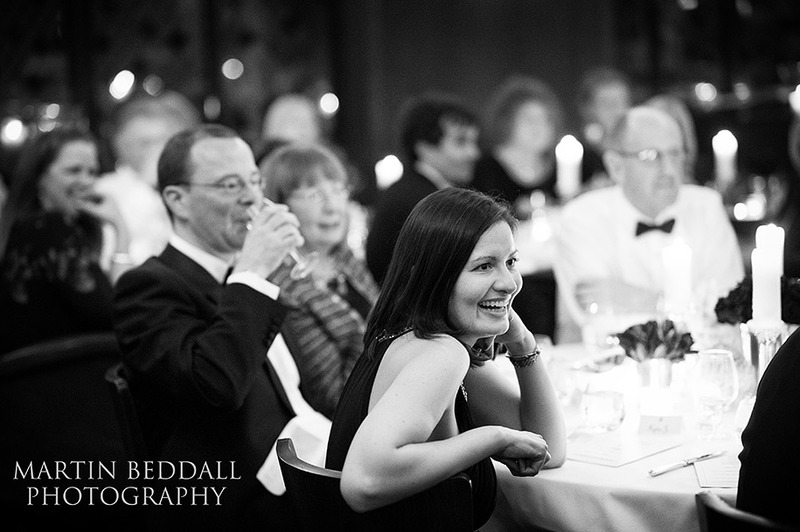 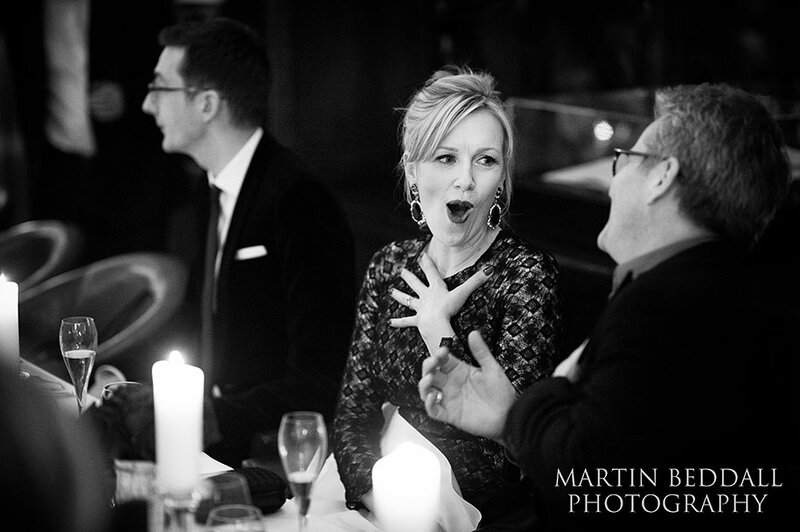 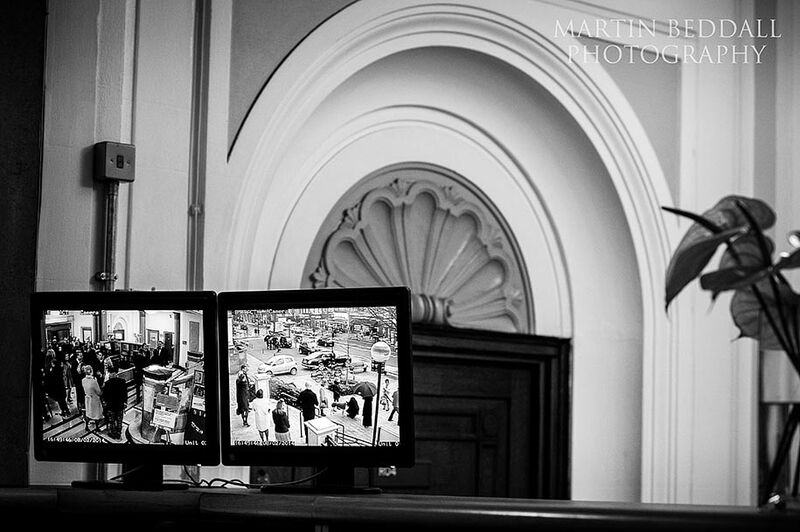 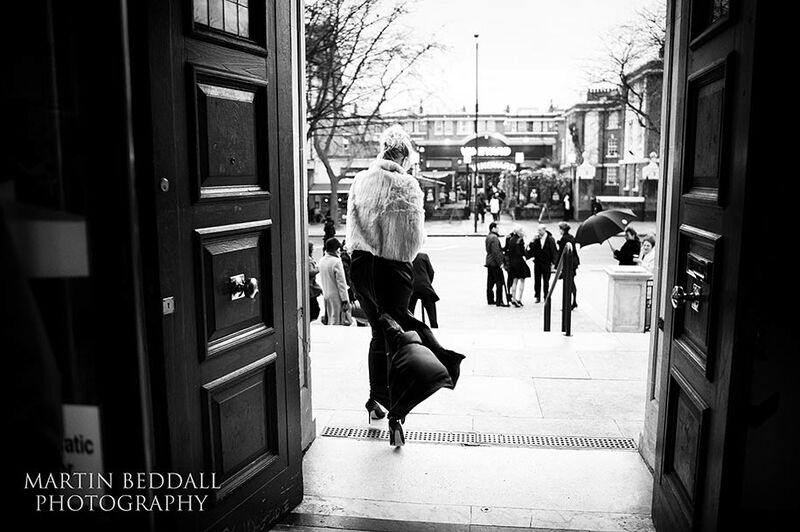 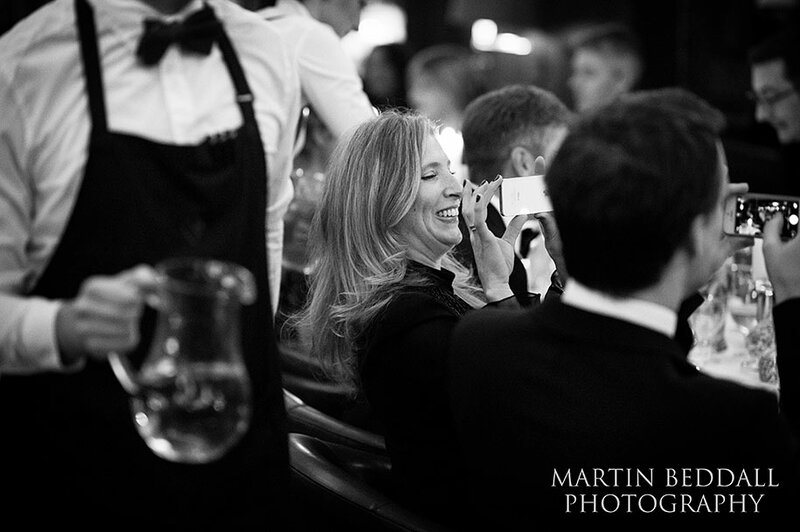 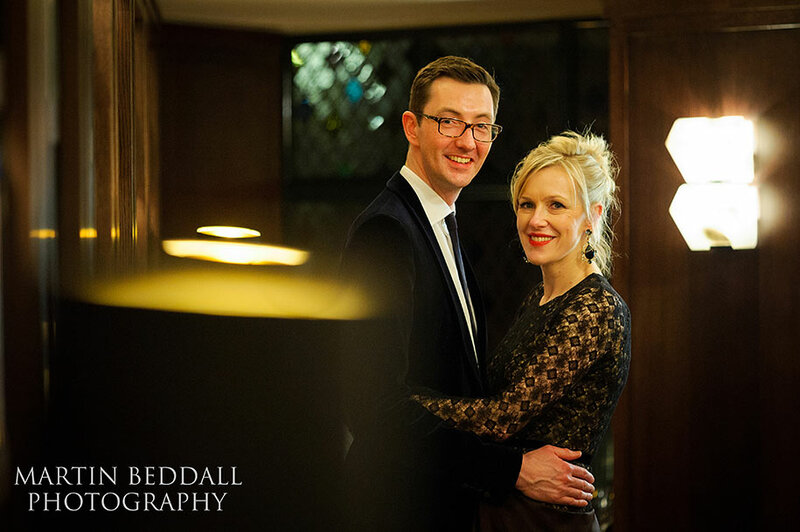 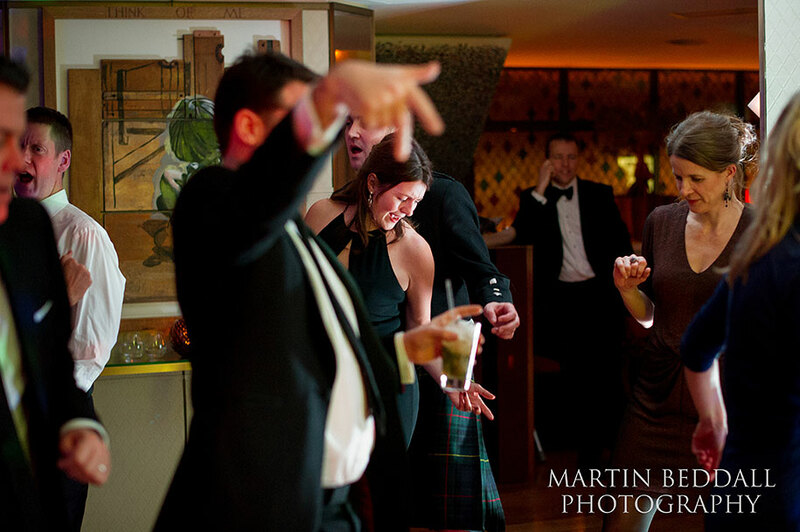 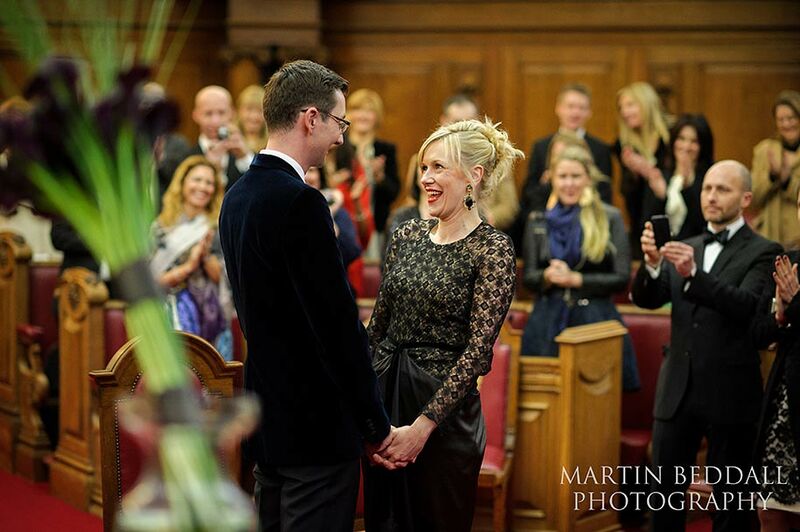 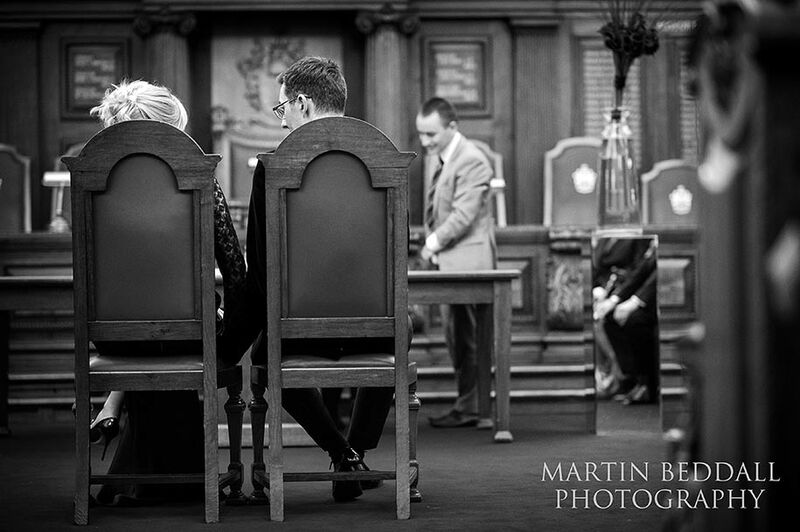 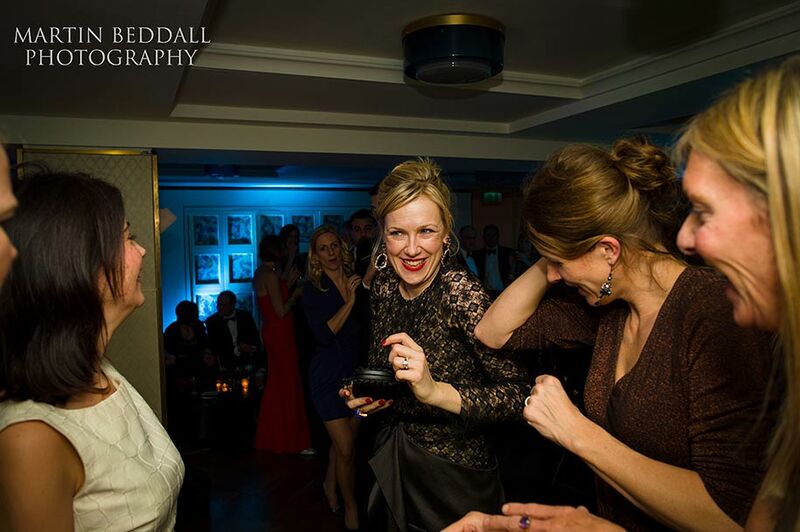 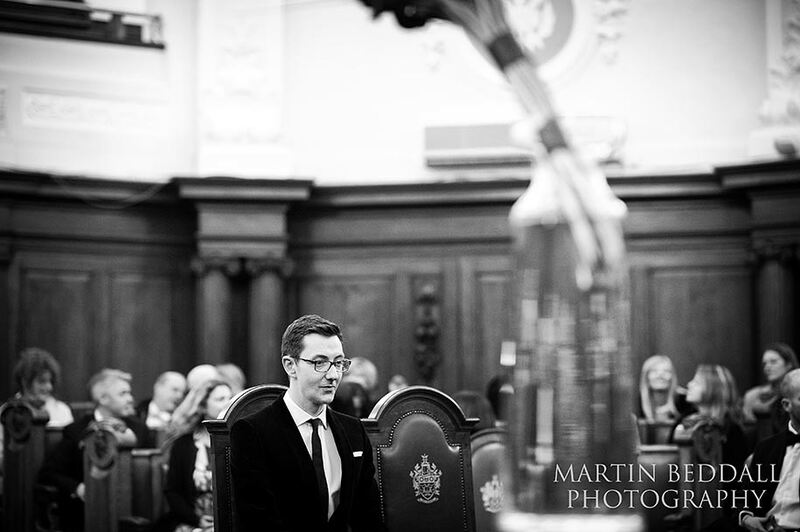 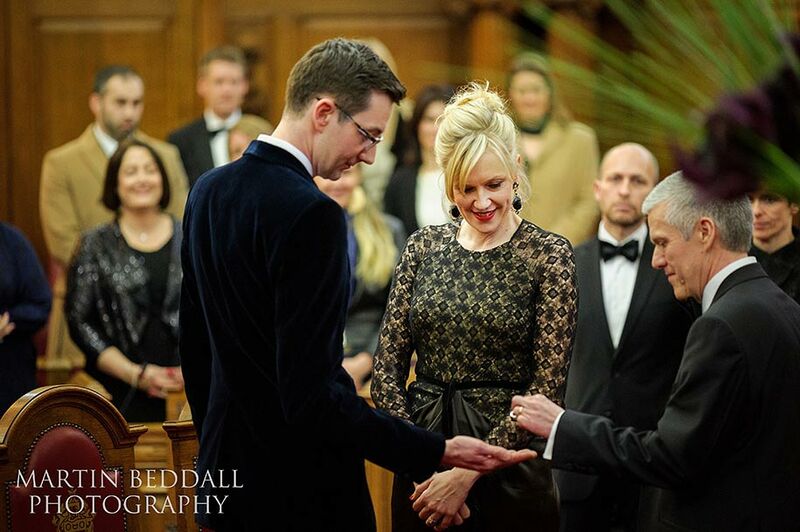 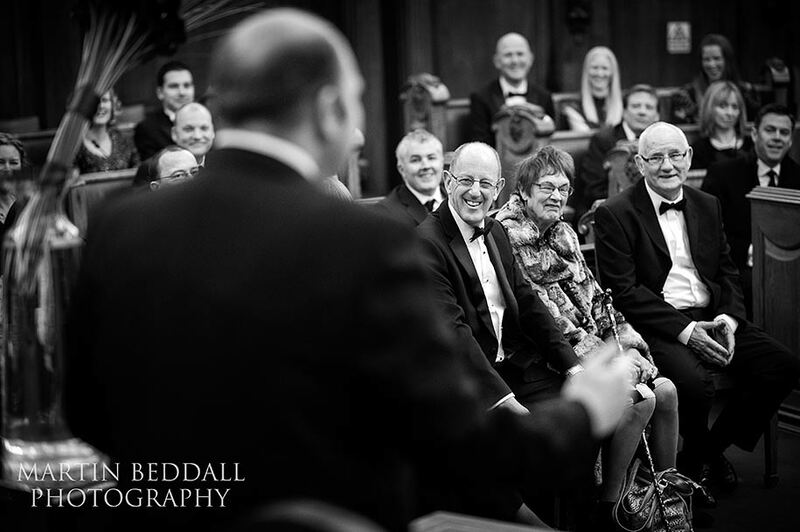 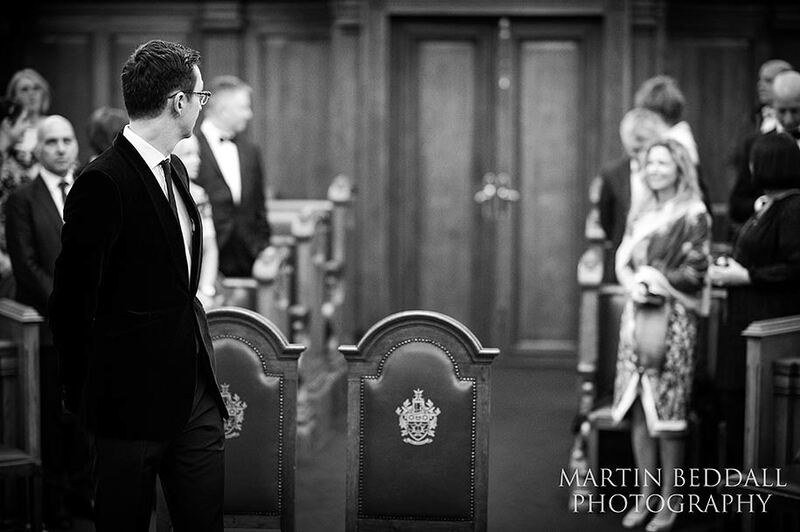 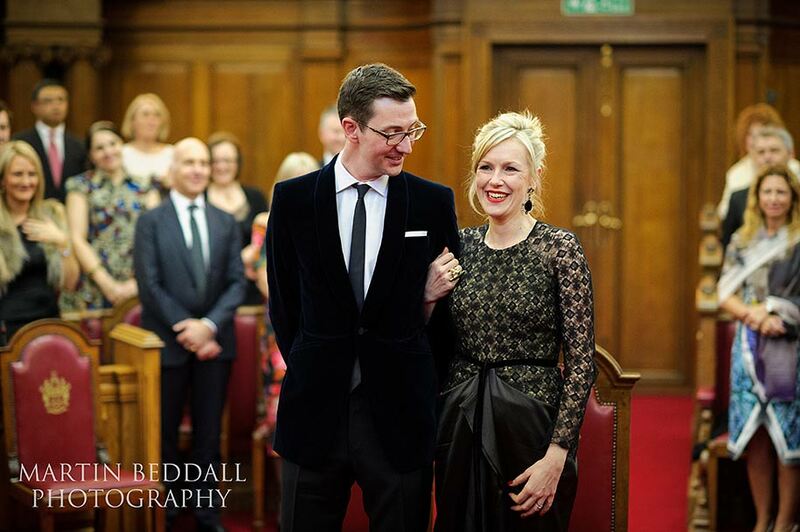 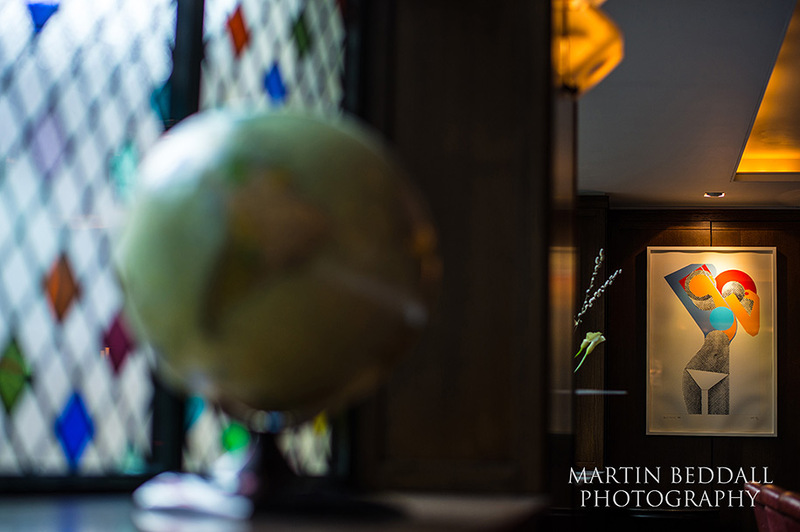 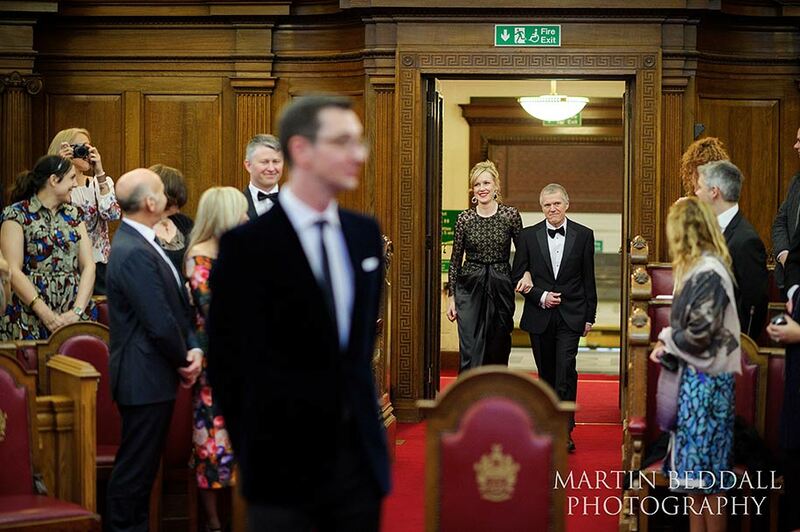 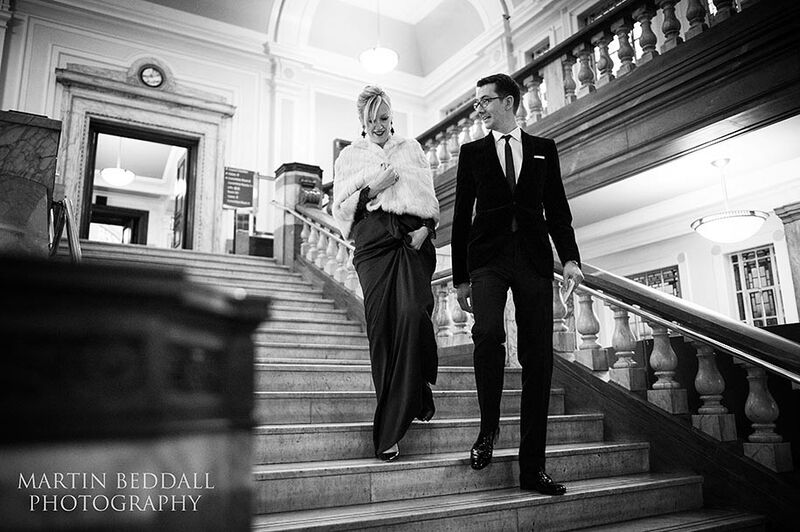 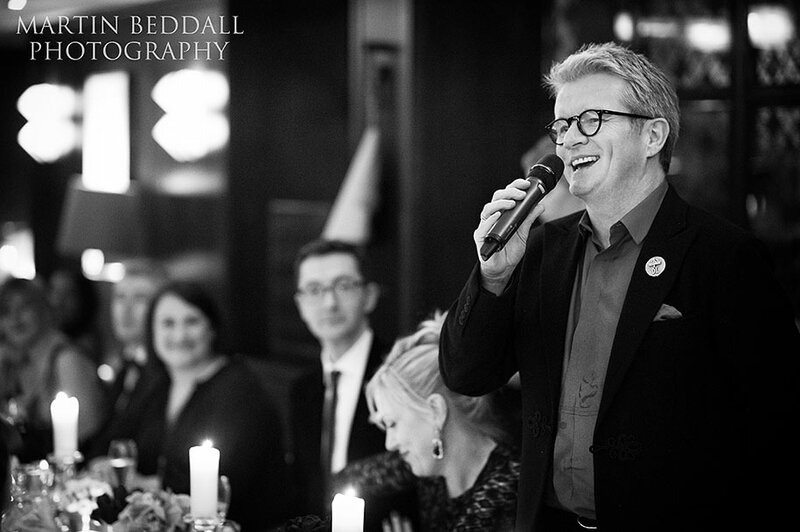 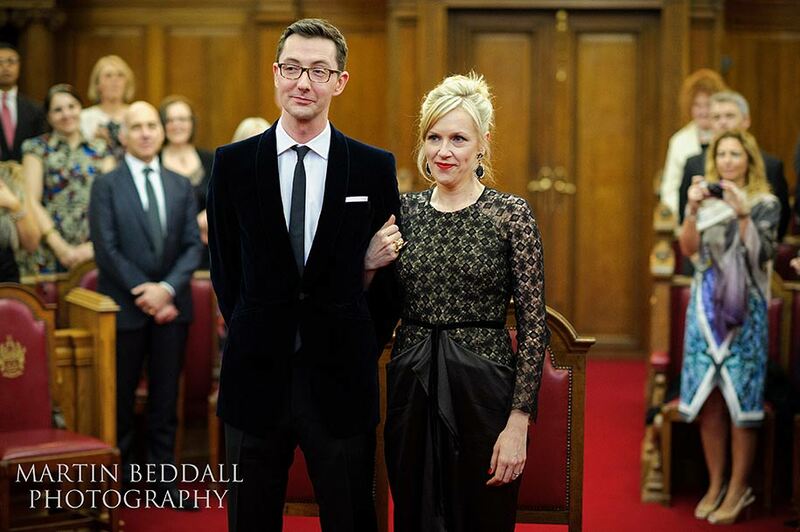 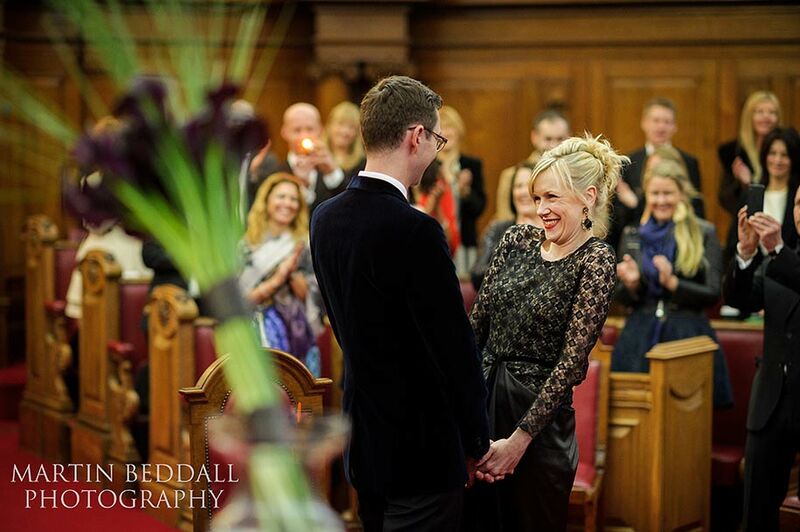 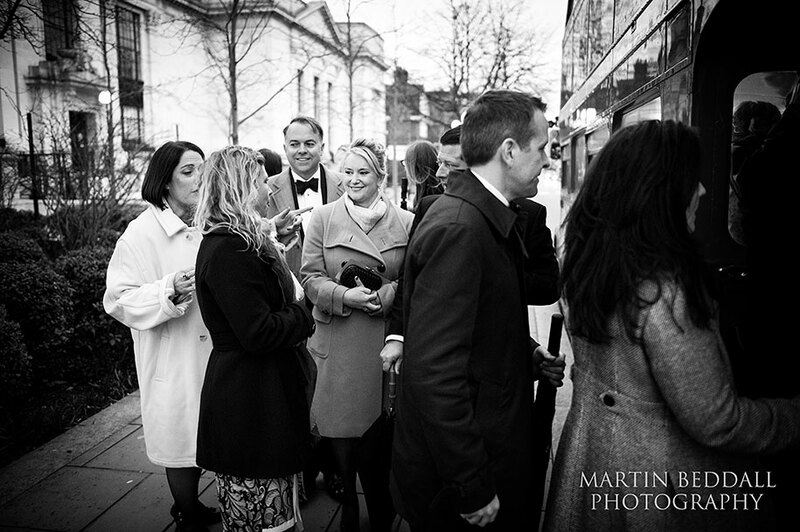 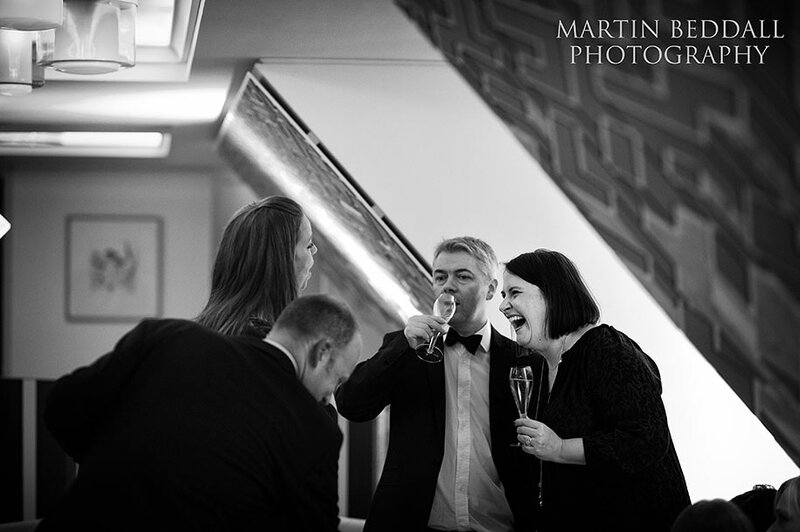 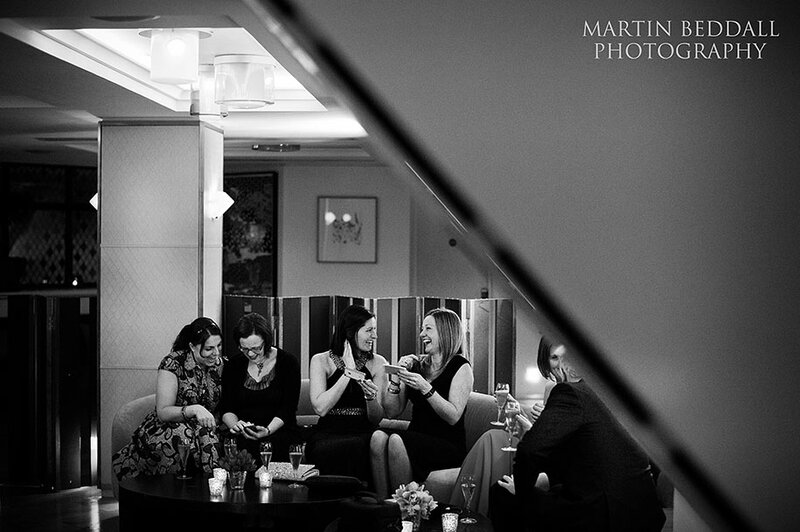 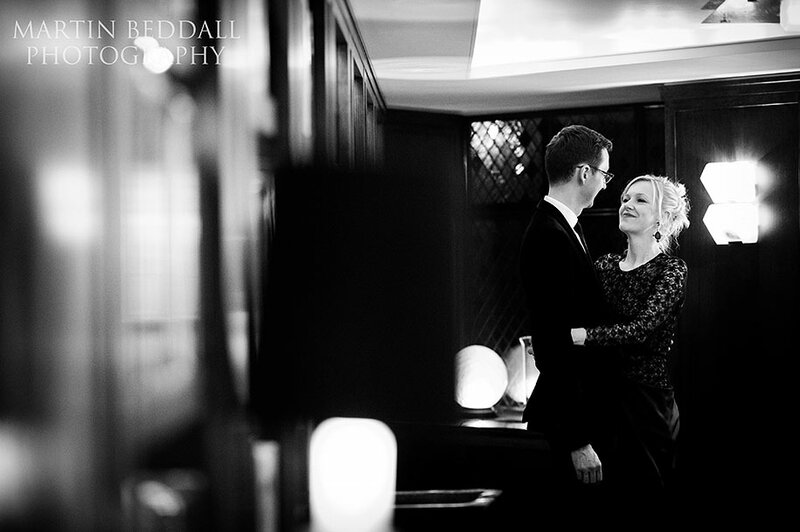 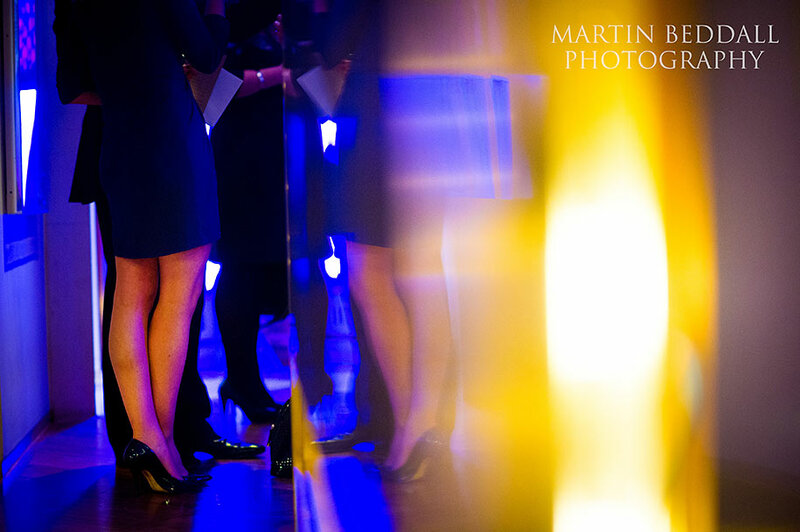 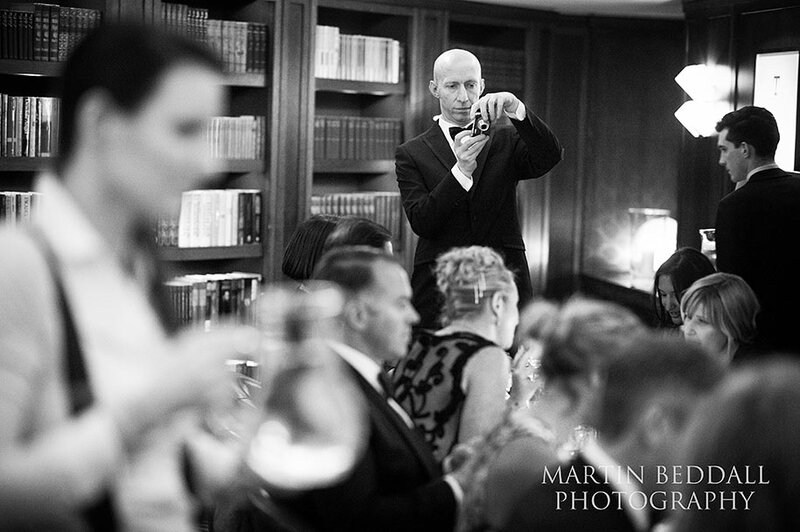 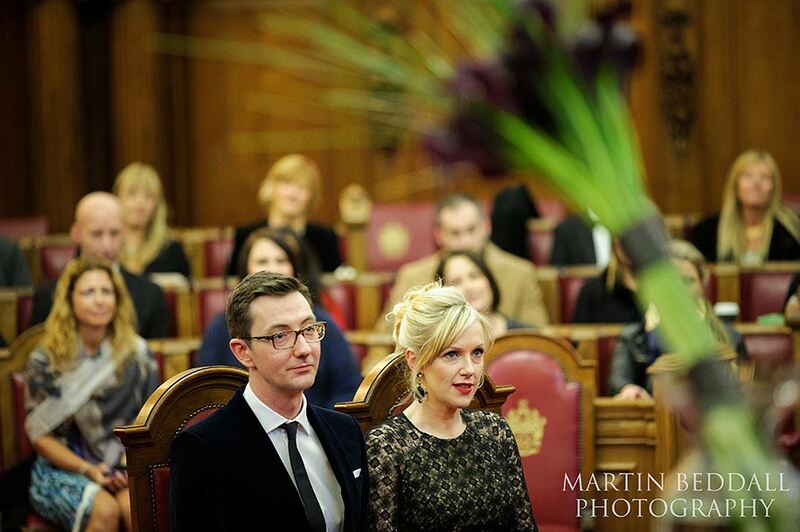 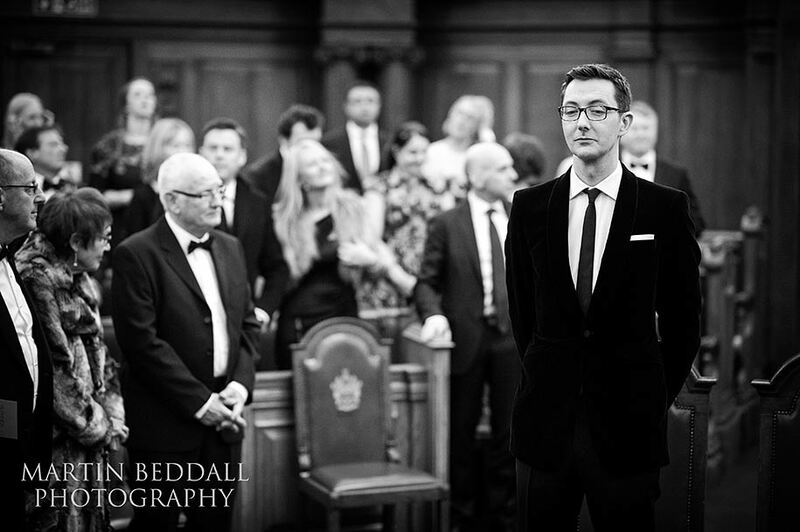 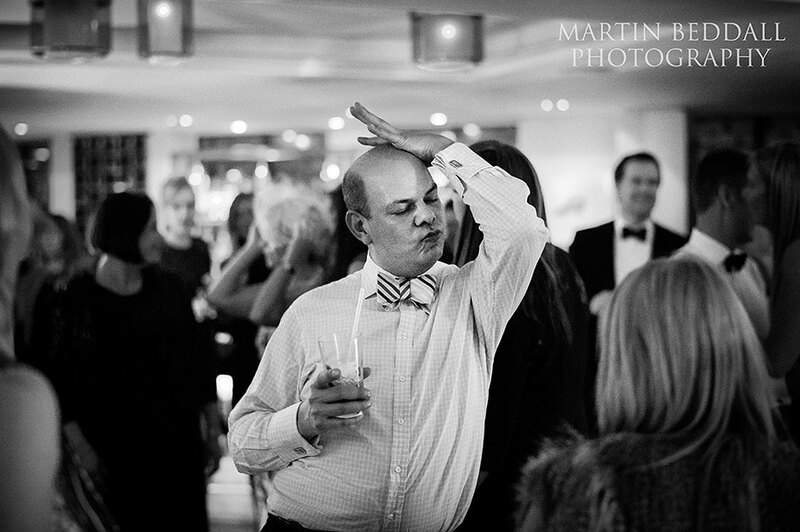 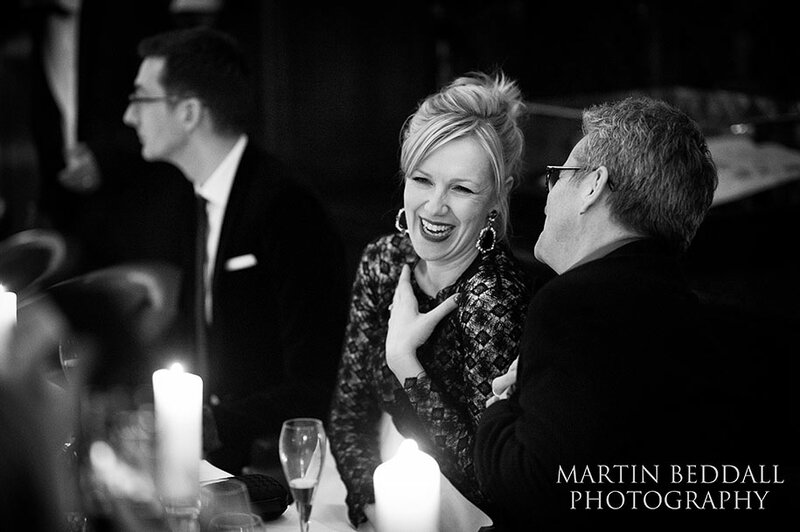 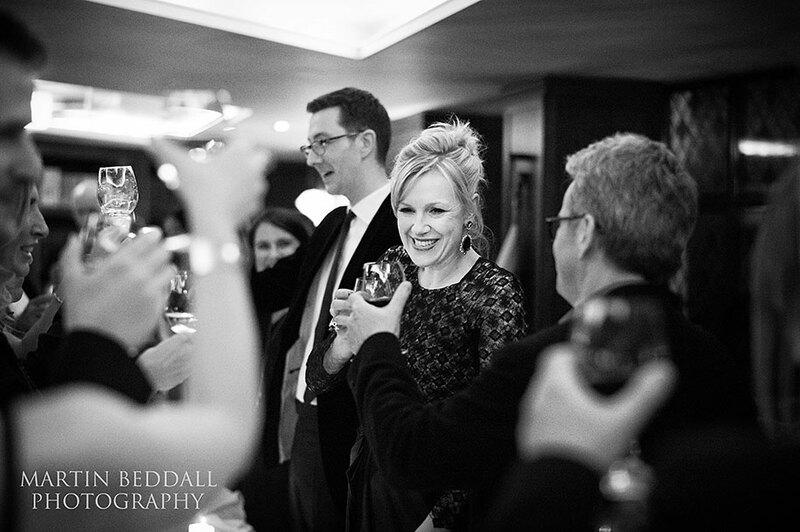 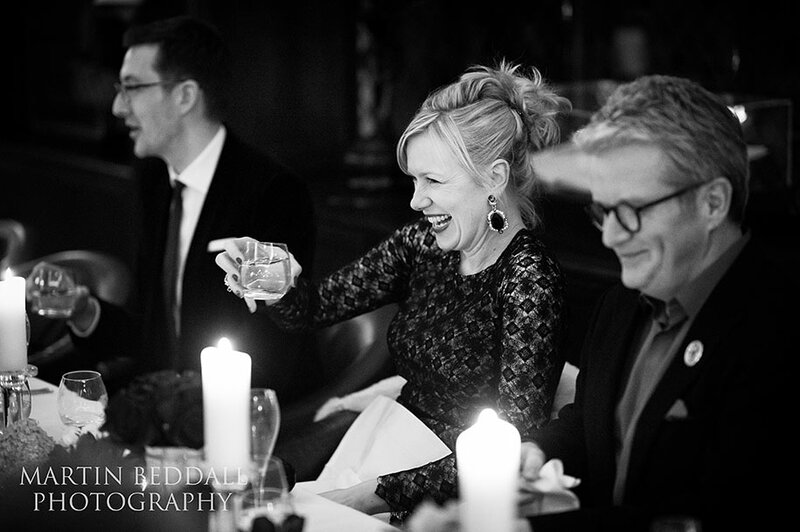 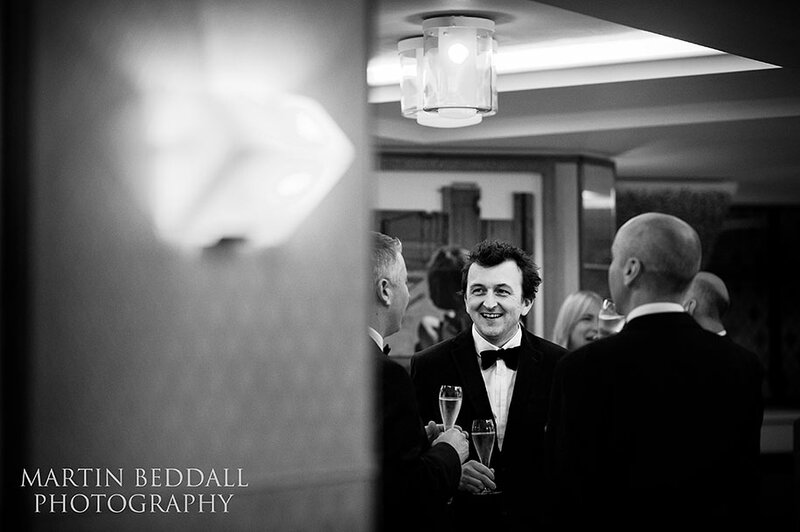 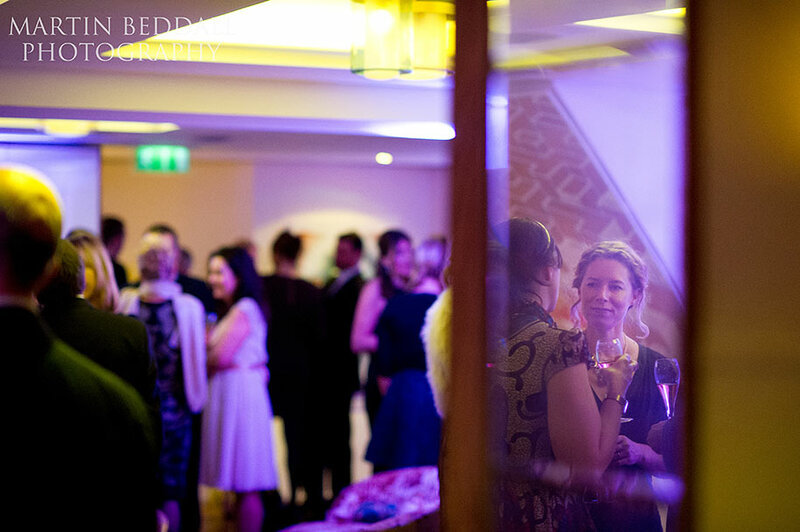 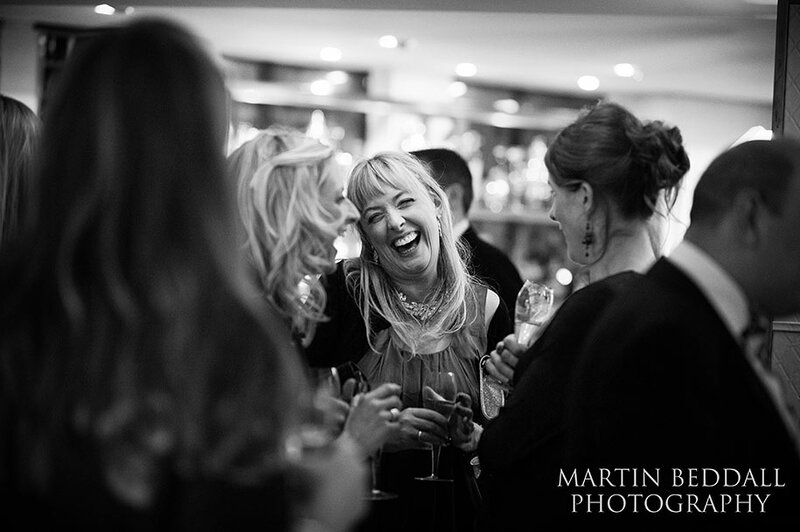 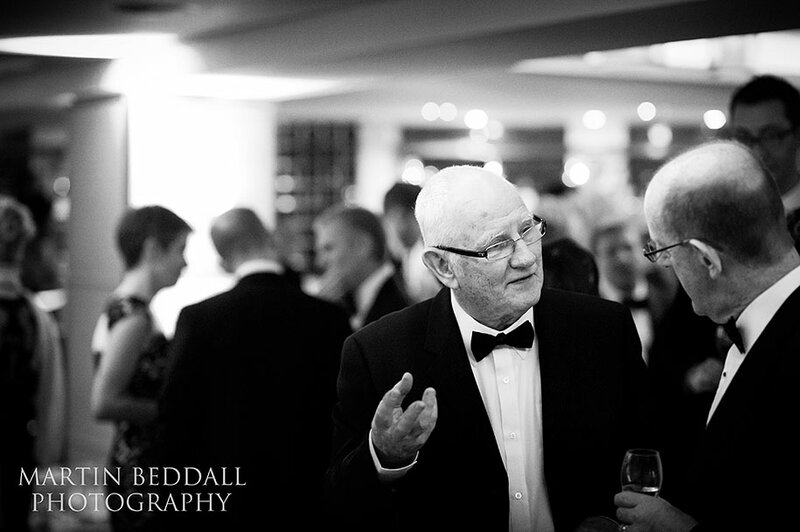 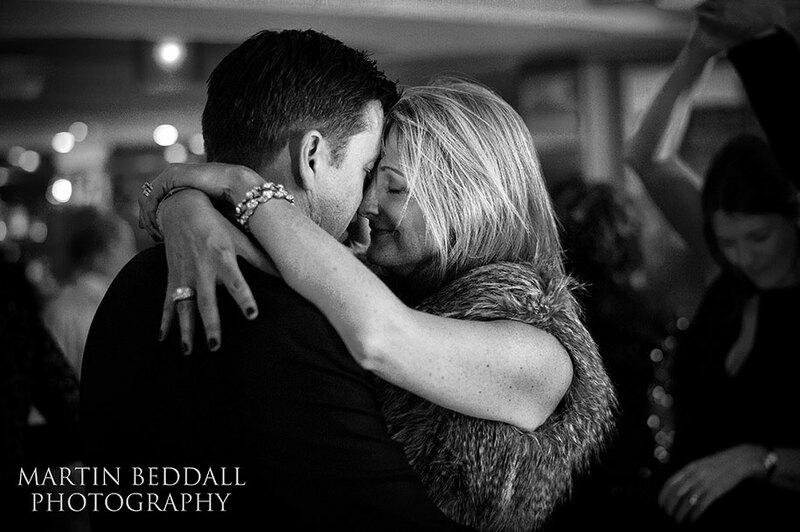 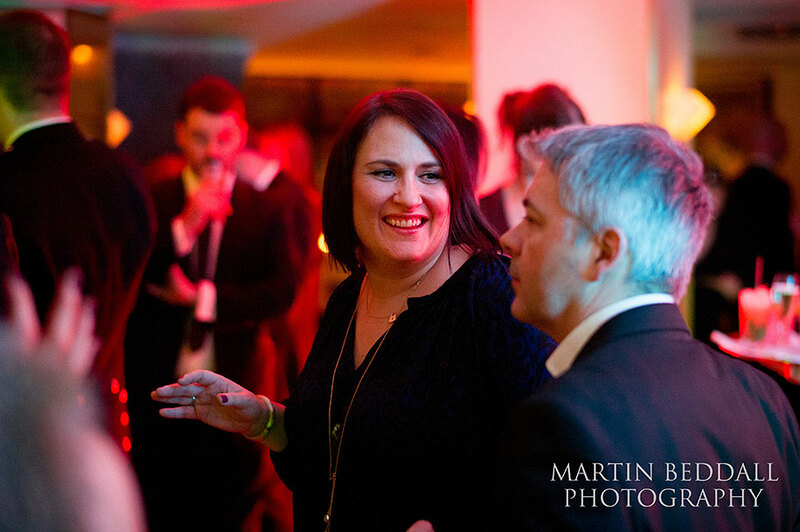 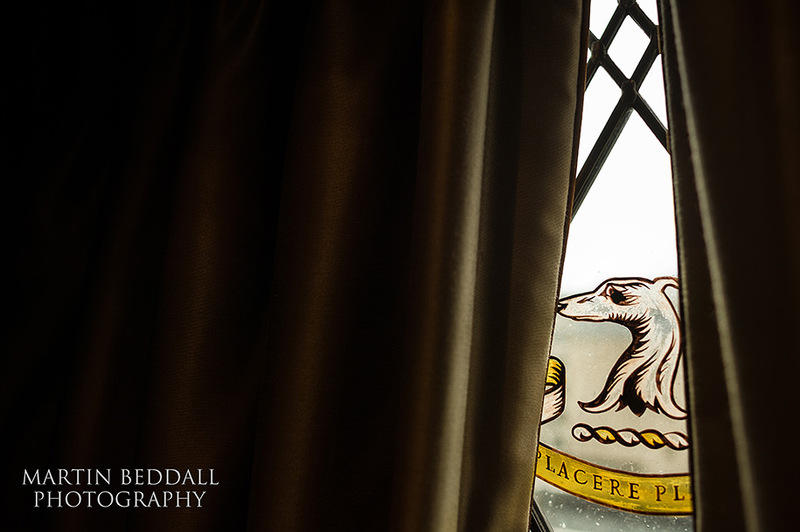 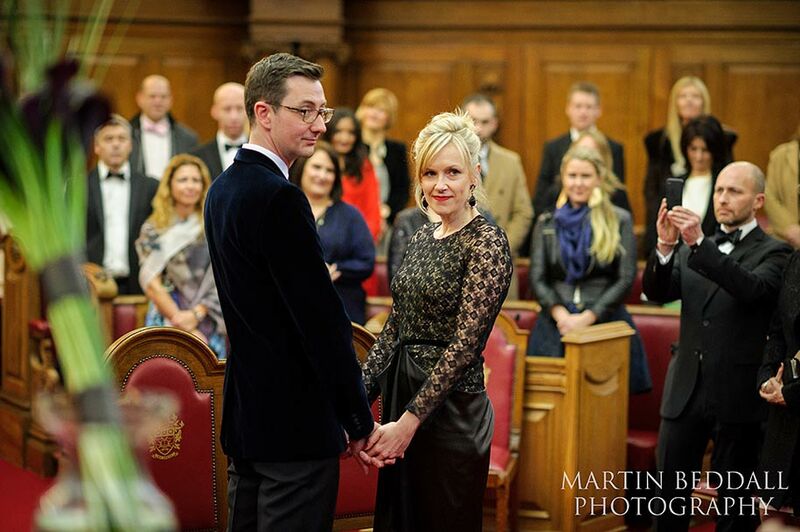 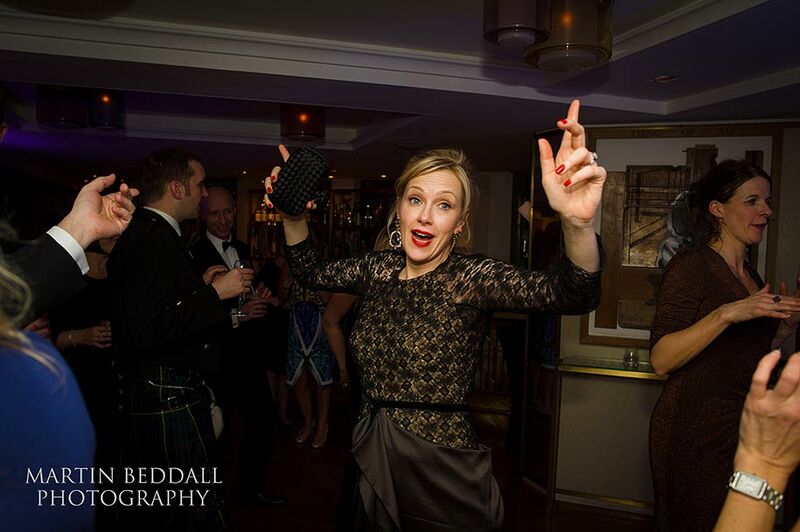 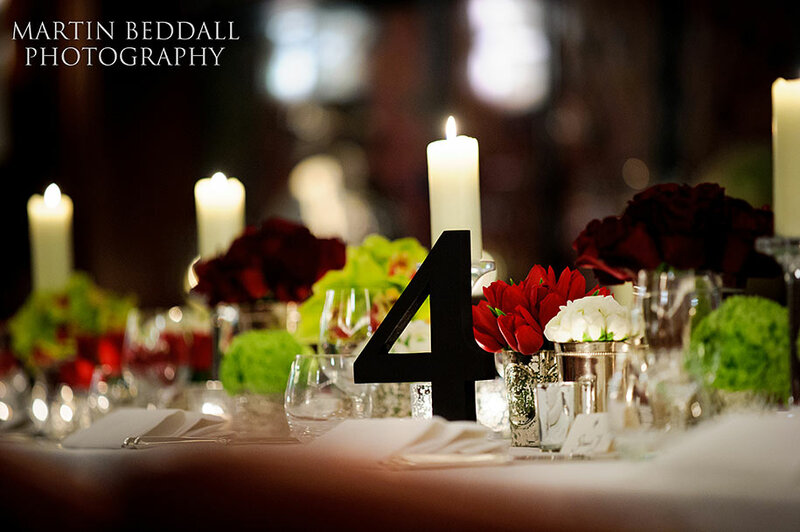 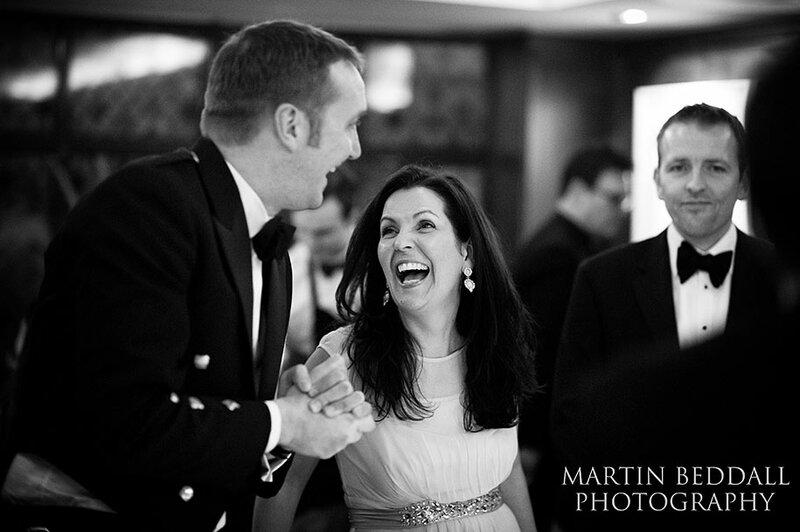 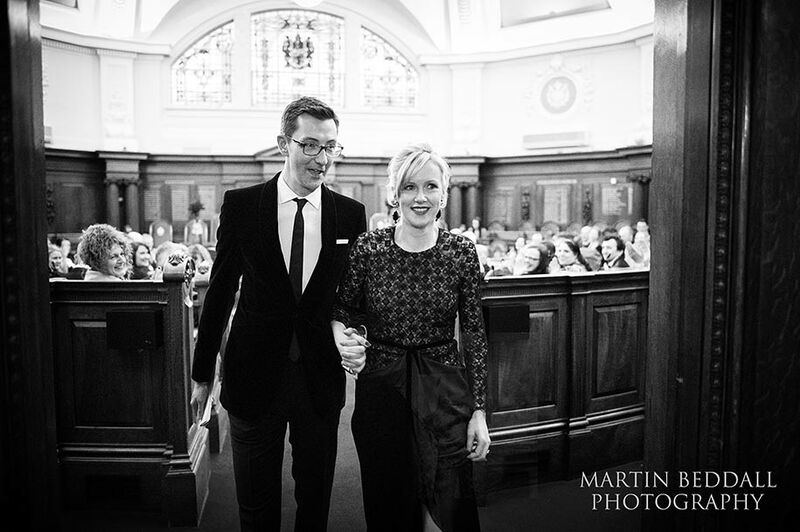 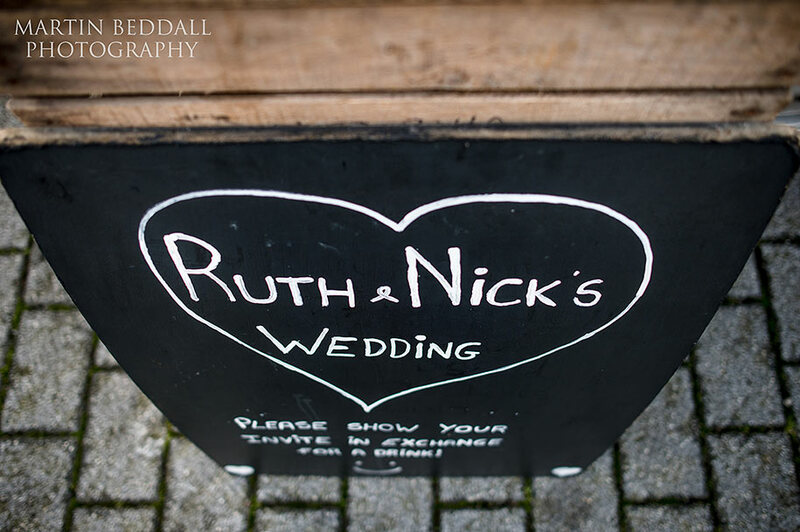 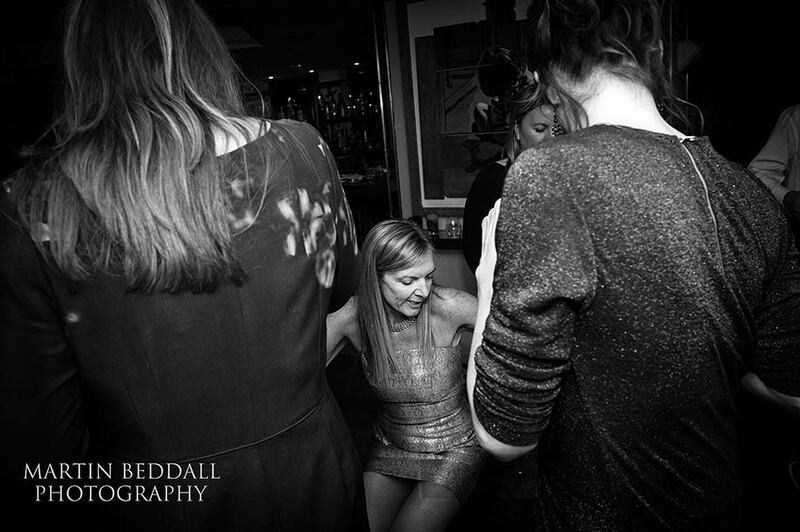 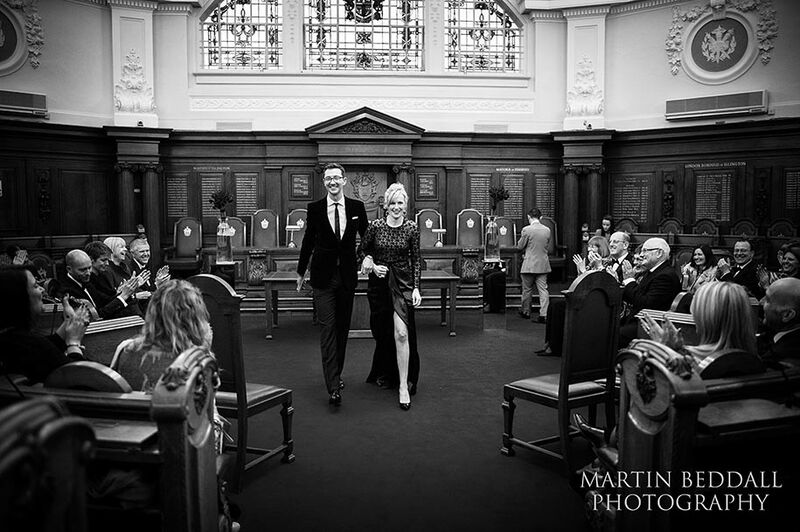 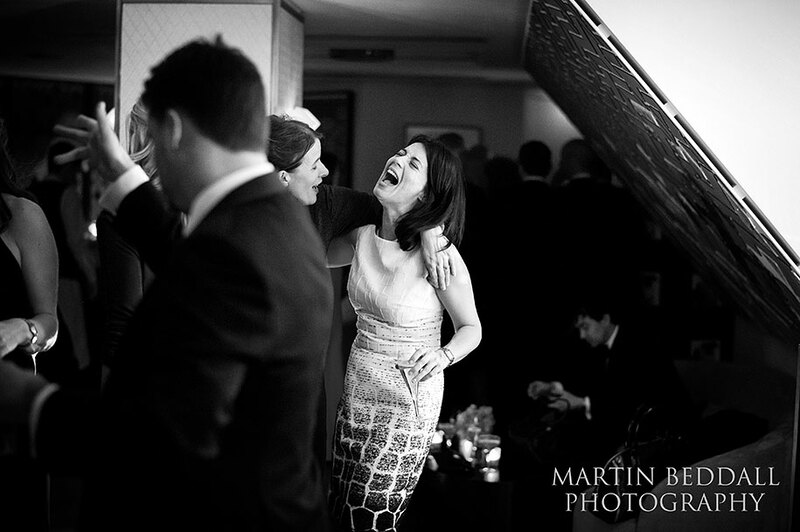 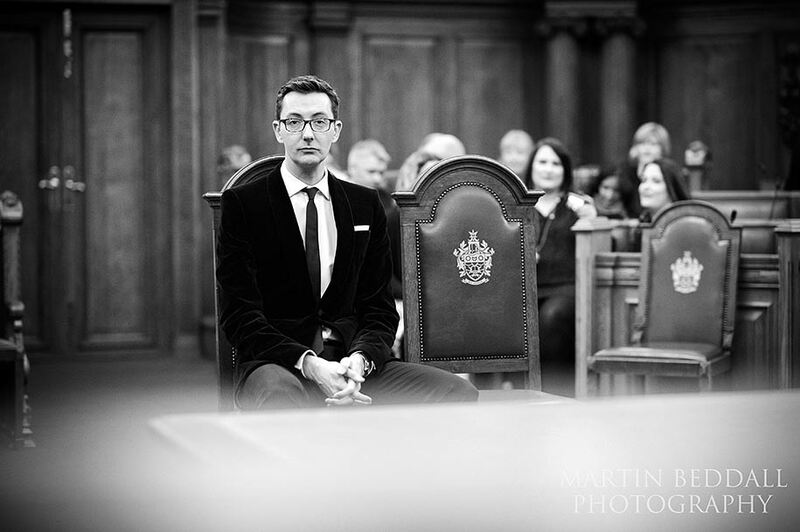 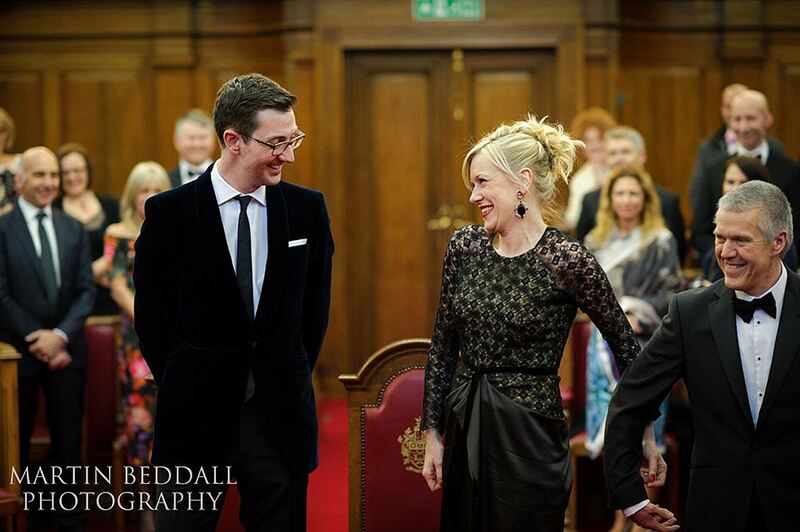 A very stylish London winter wedding, held last Saturday at The Ivy for Ruth and Nick. 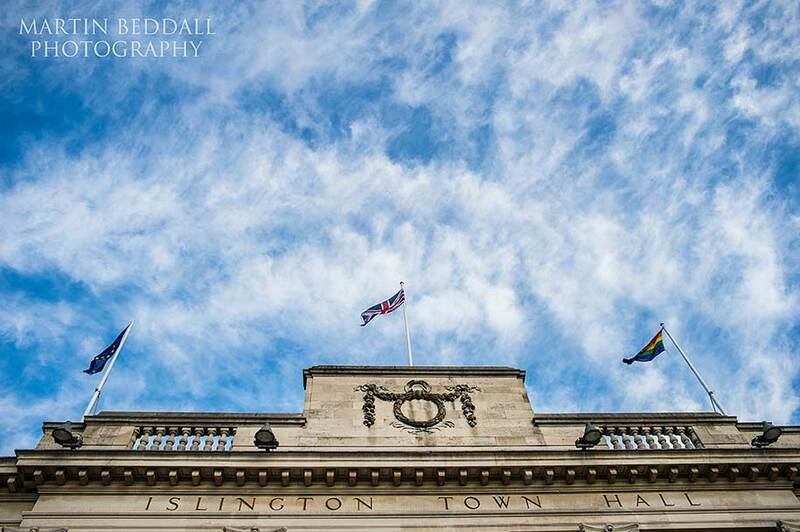 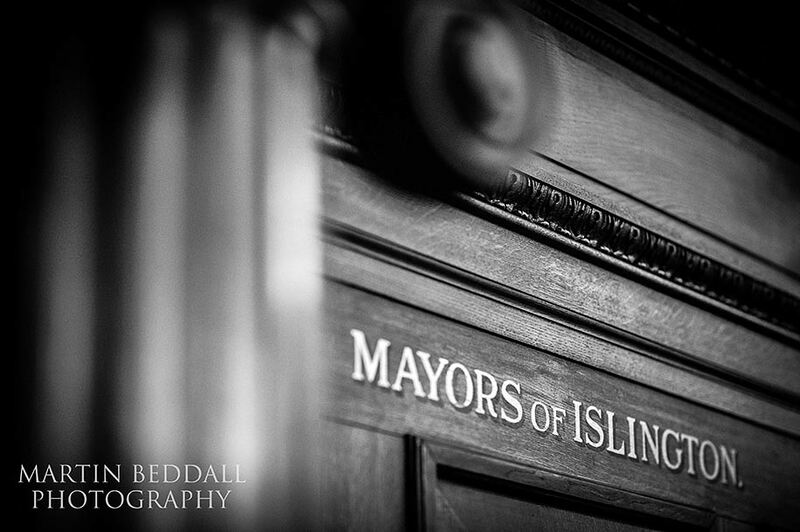 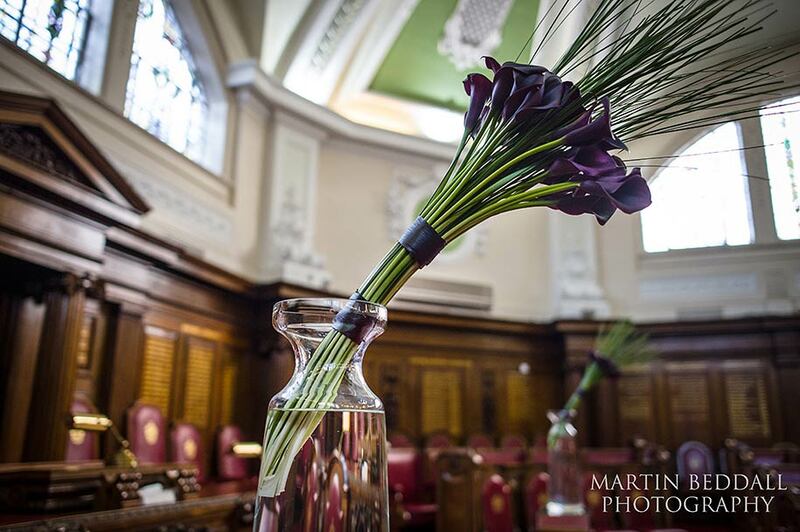 Actually, to be more precise, a ceremony at Islington Town Hall and then a party at The Club at The Ivy. 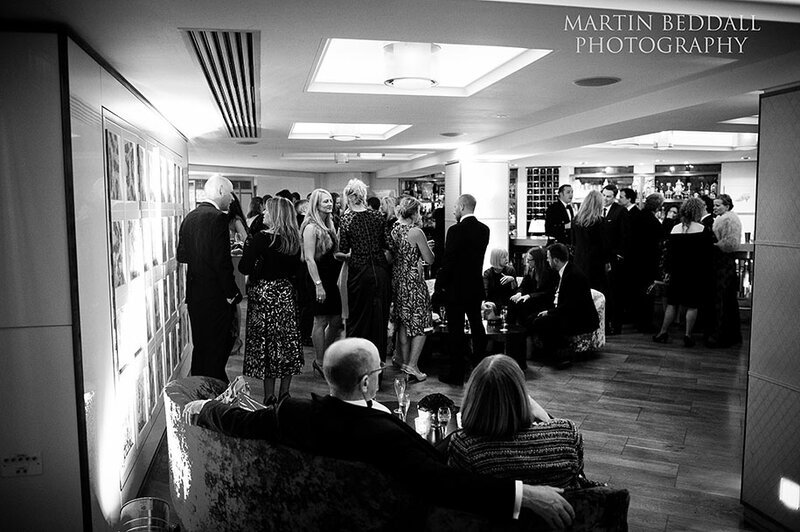 Two floors – The Drawing Room and The Loft – at the private members’ club above the internationally famous restaurant in Theatreland. 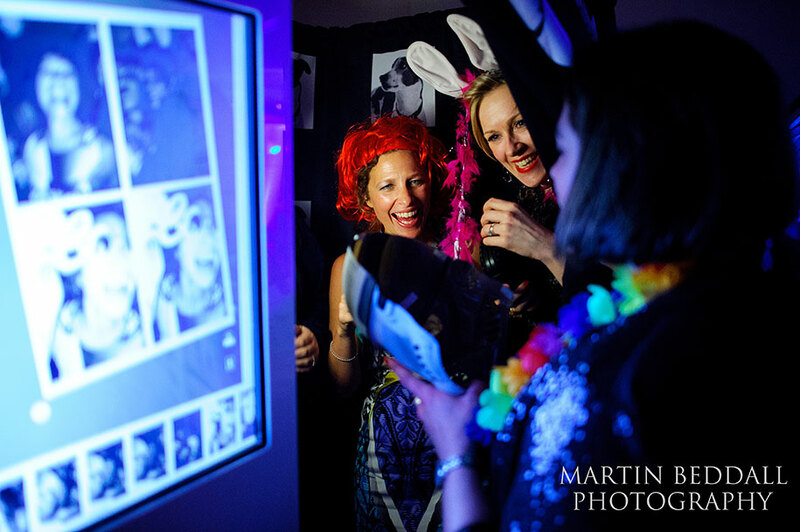 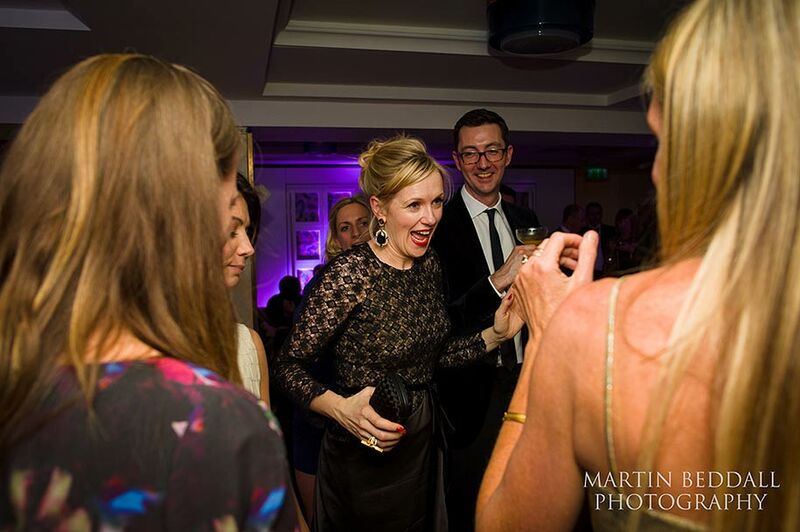 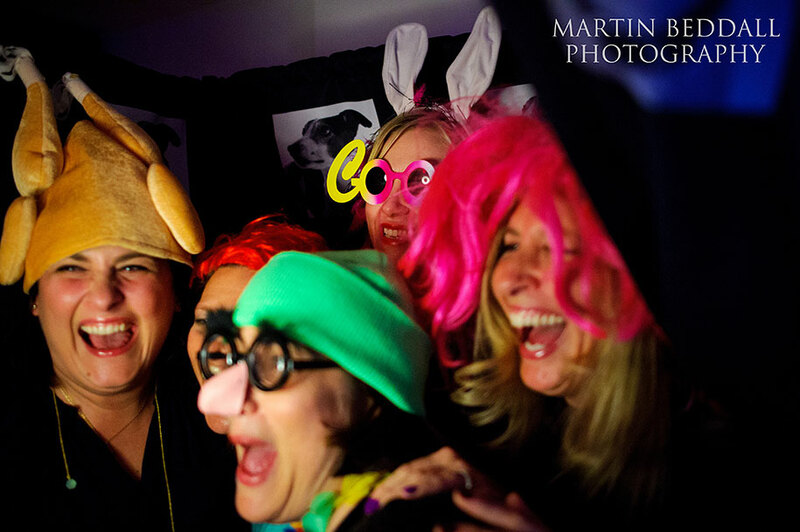 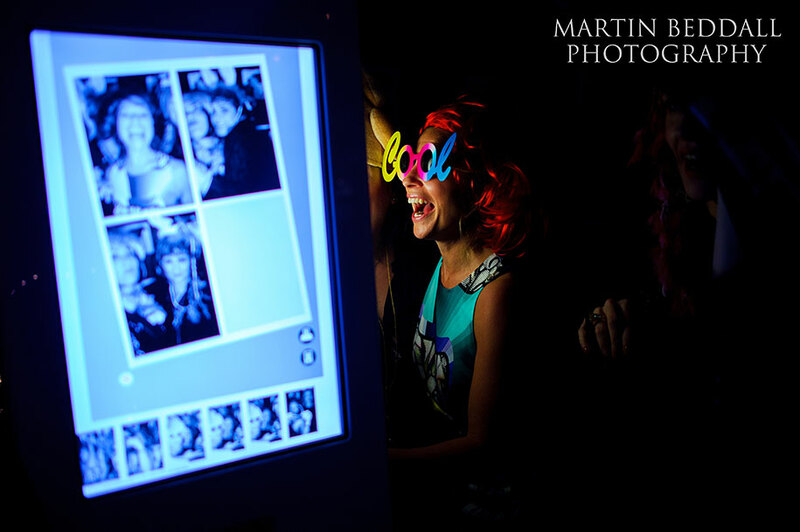 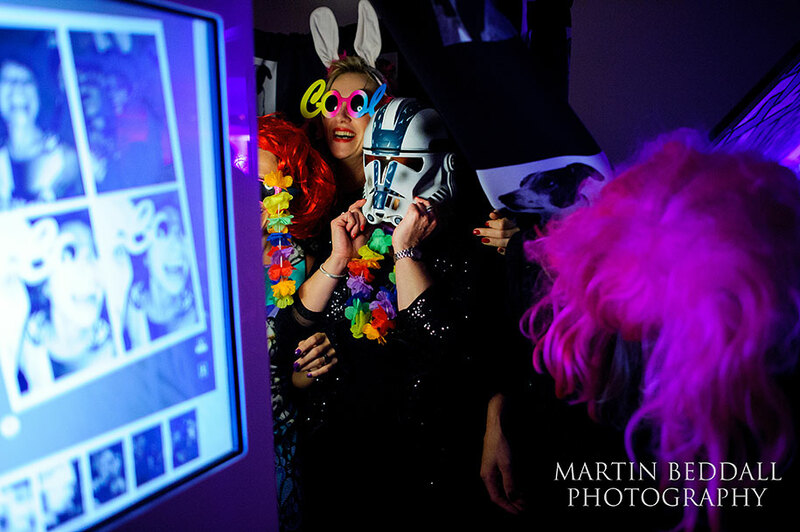 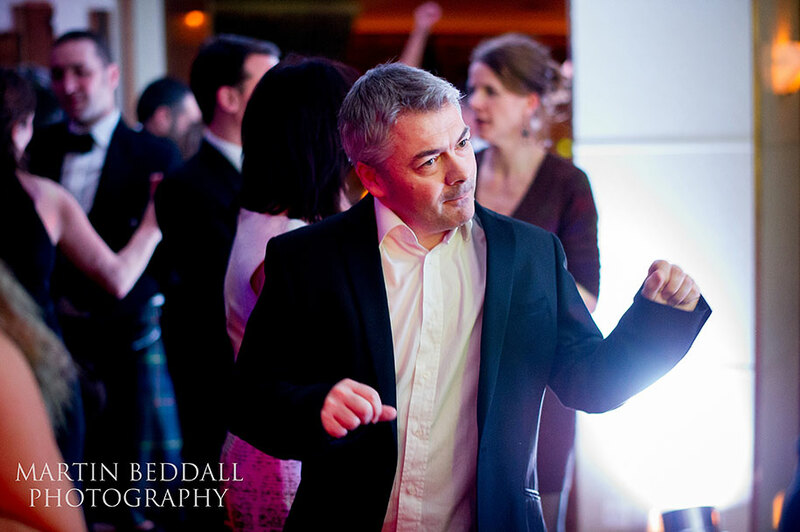 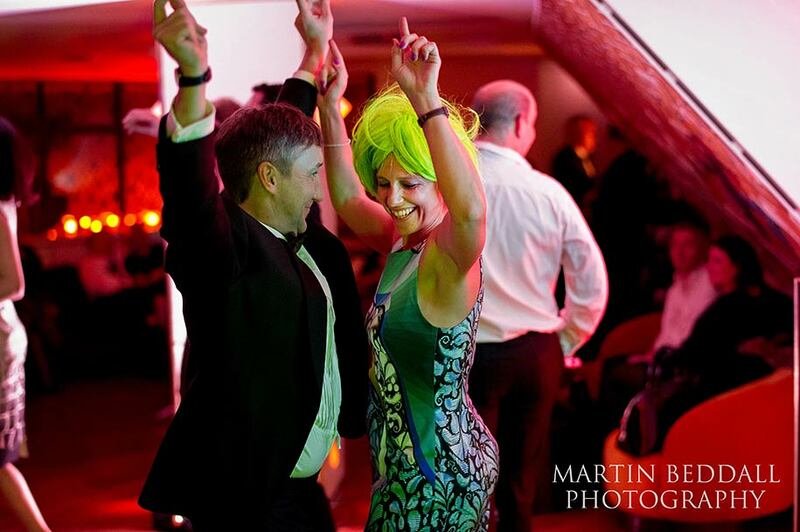 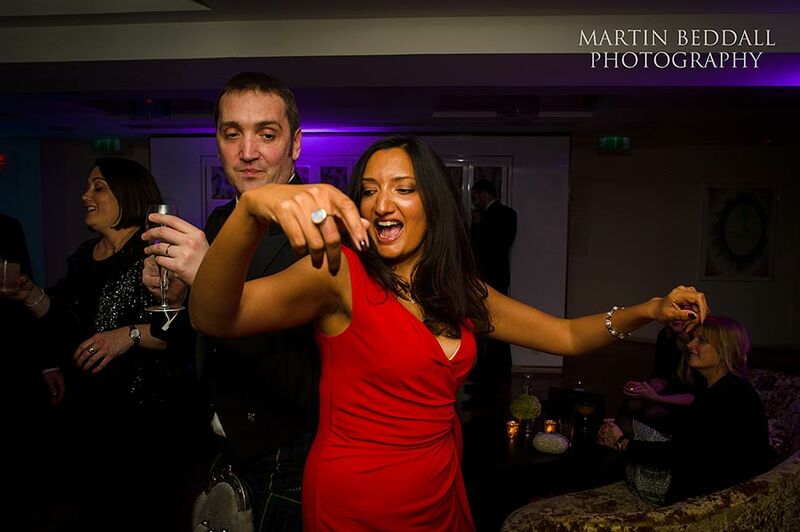 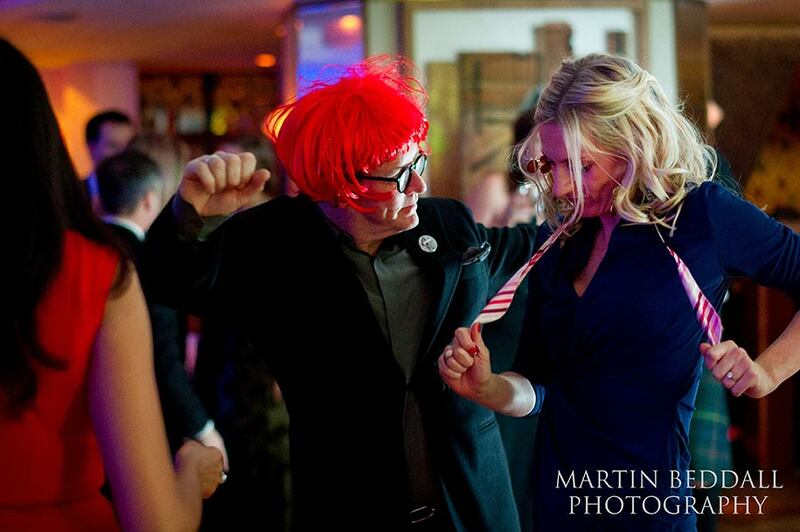 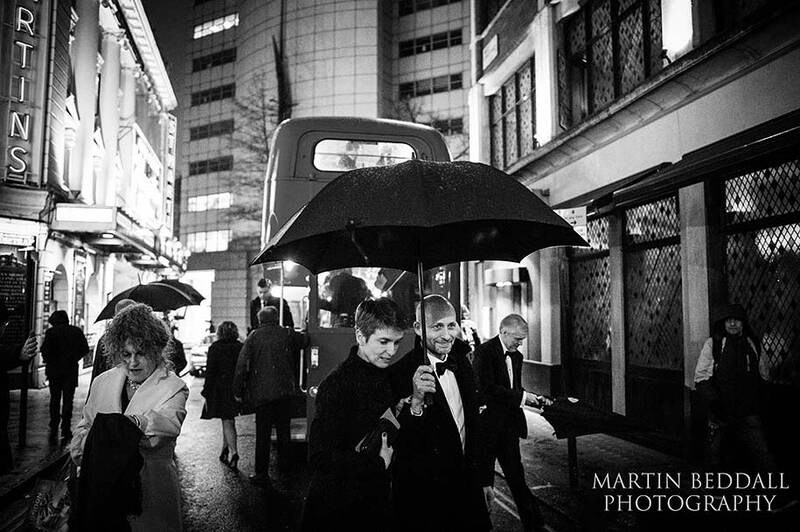 This was a wedding but they wanted the emphasis to be upon it being a fun, sophisticated party, deep in London’s West End. 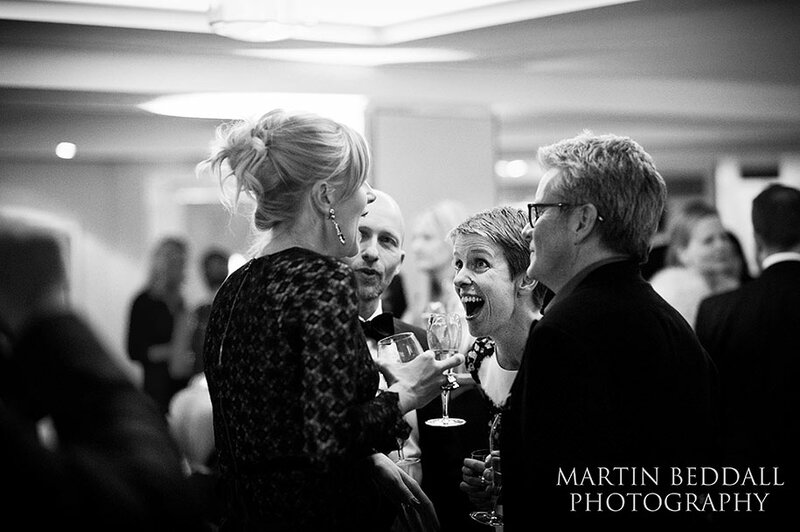 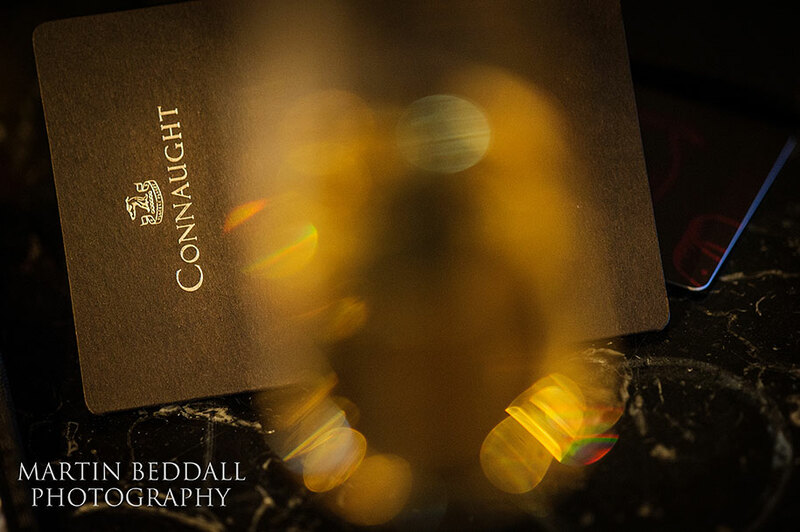 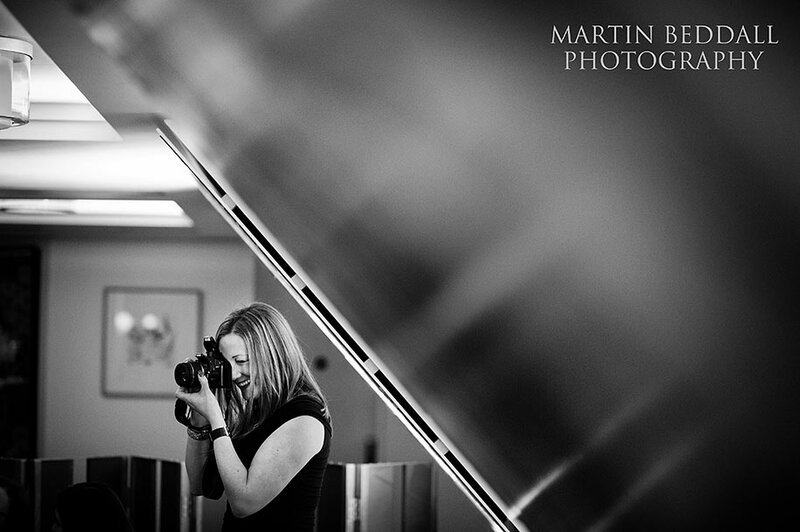 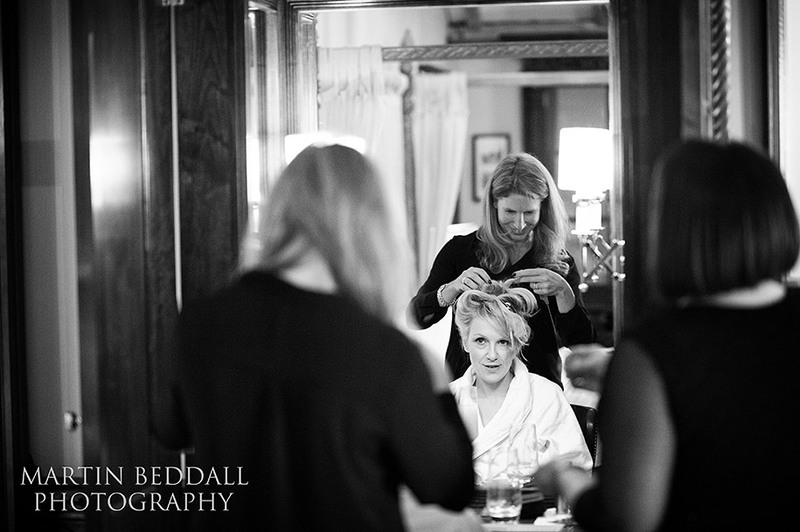 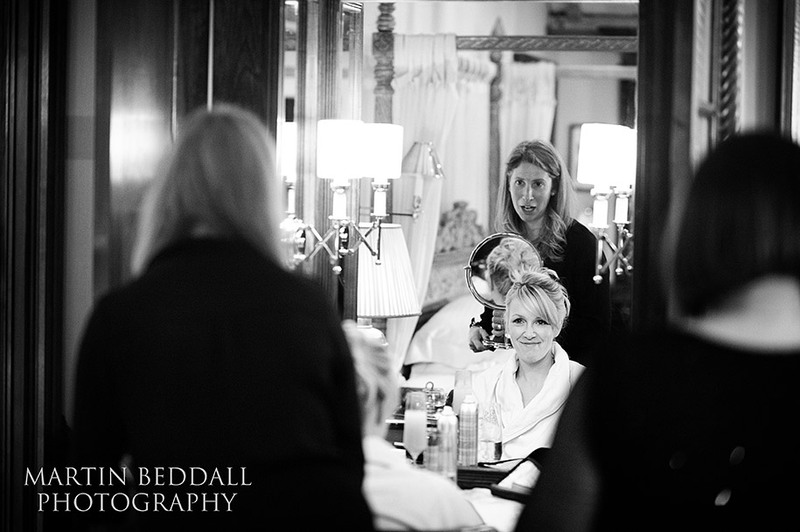 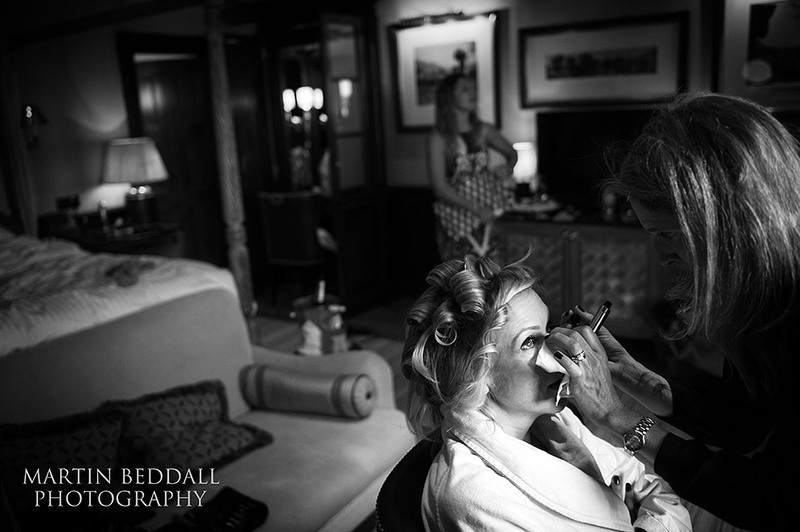 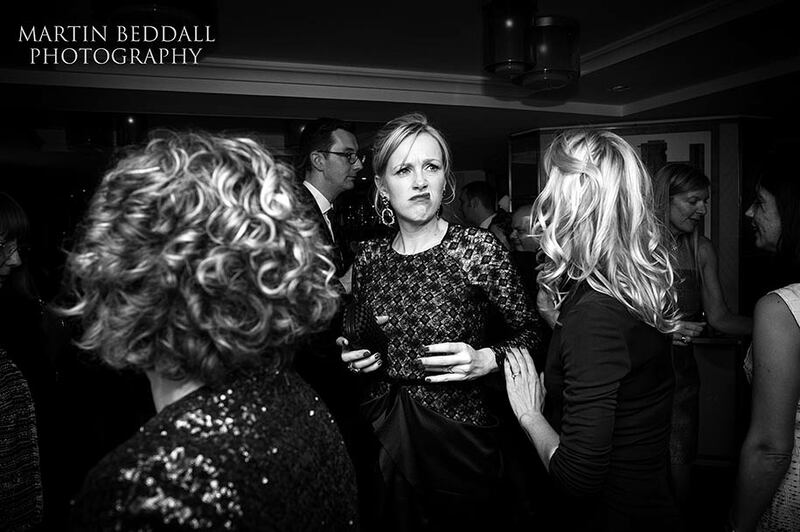 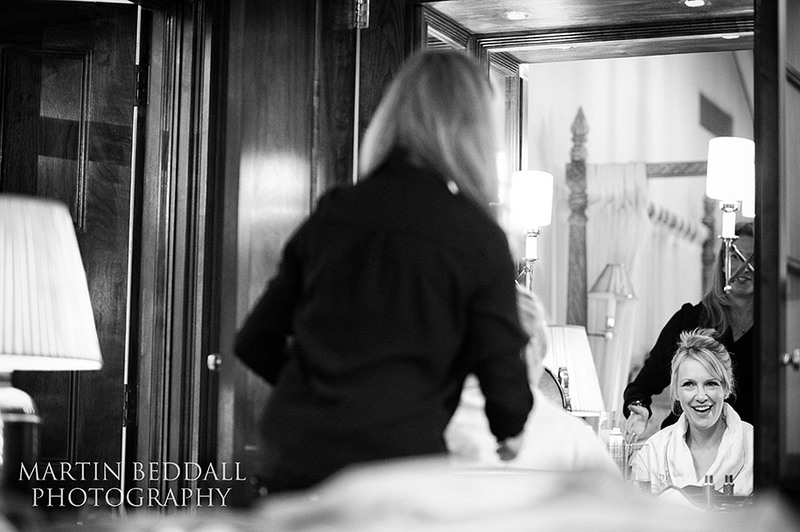 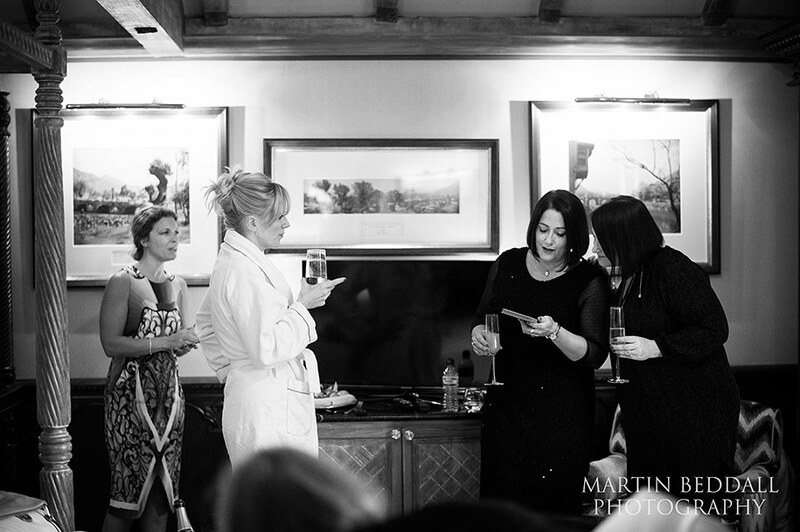 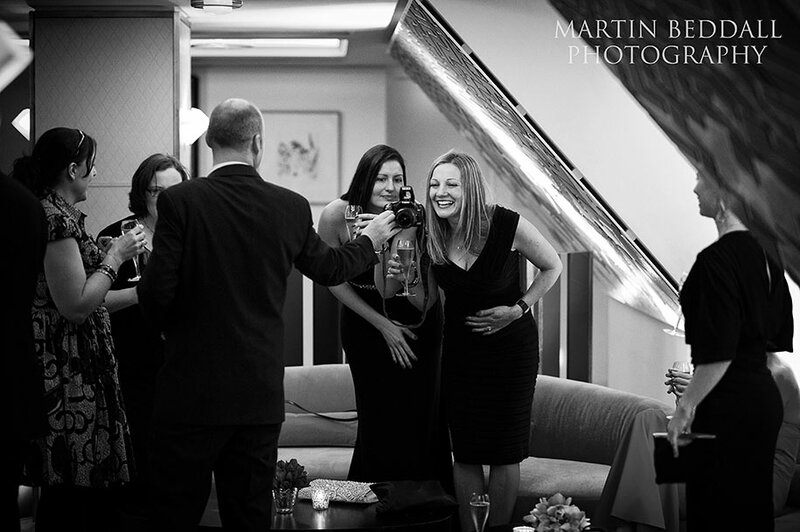 Coverage begins with Ruth getting ready with some of her friends, at The Connaught hotel in Mayfair. 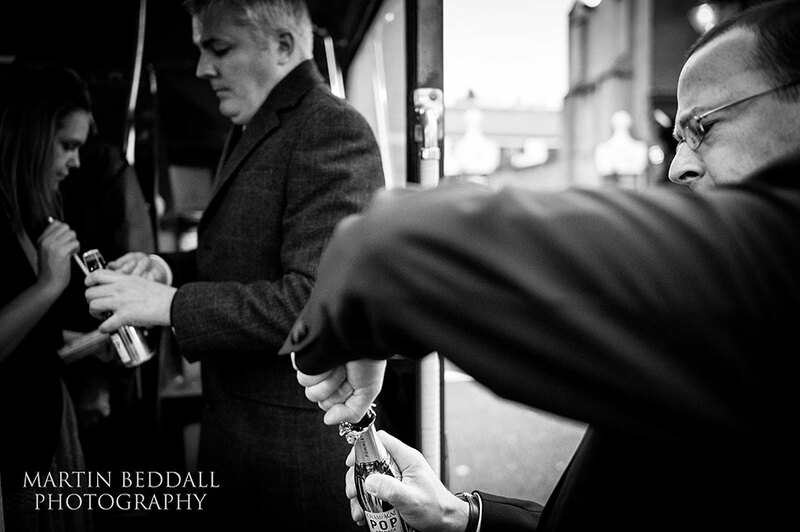 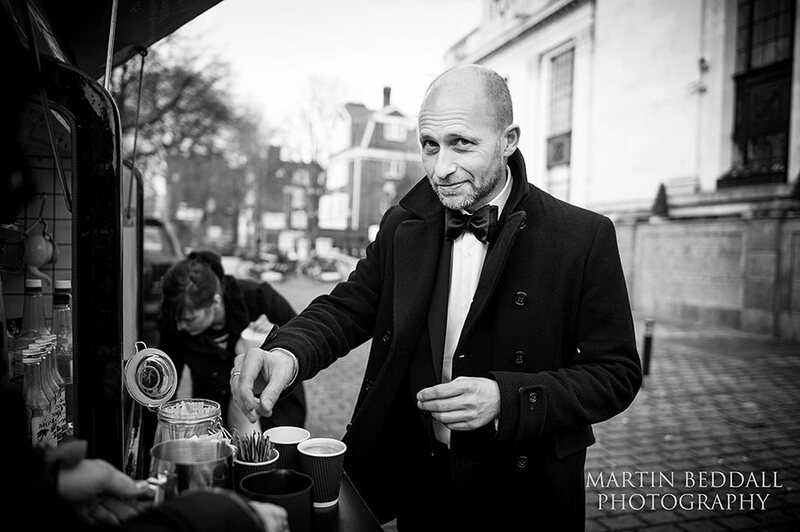 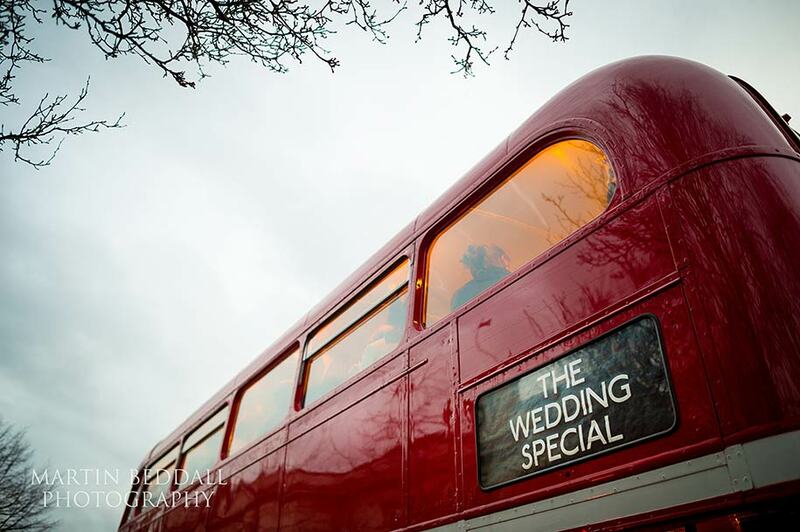 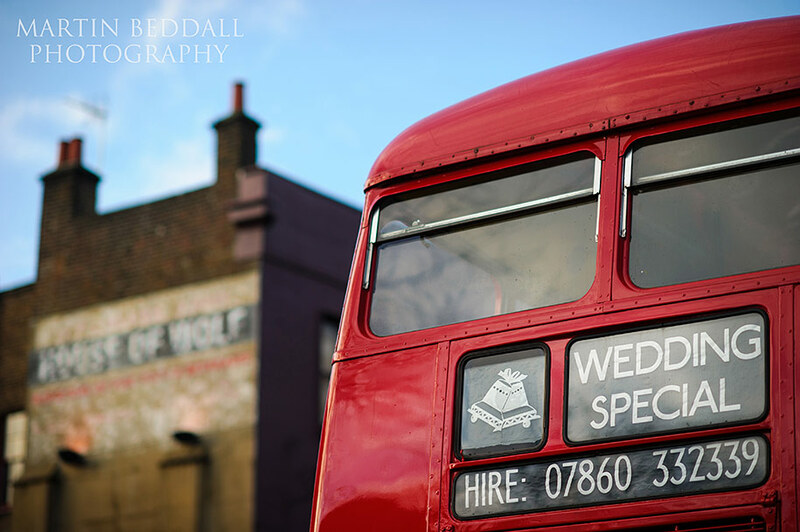 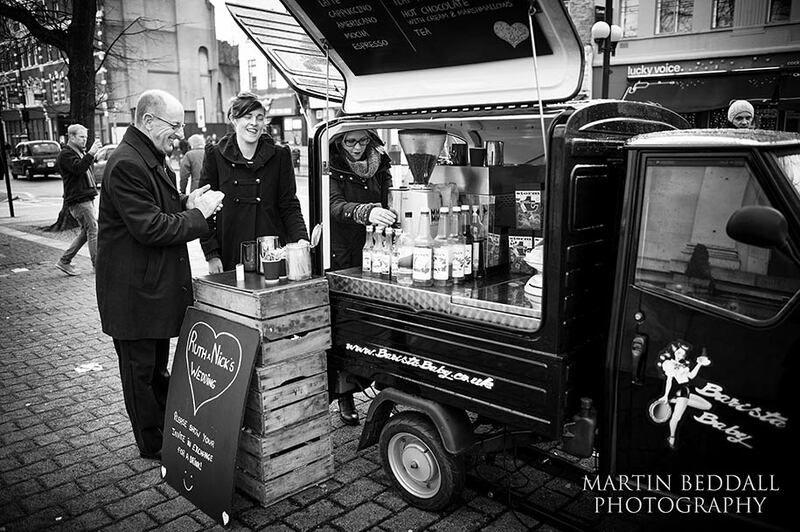 It was then a trip north to Islington, where a petite tea van greeted wedding guests with a hot brew on a cold, wet and windy winter’s afternoon. 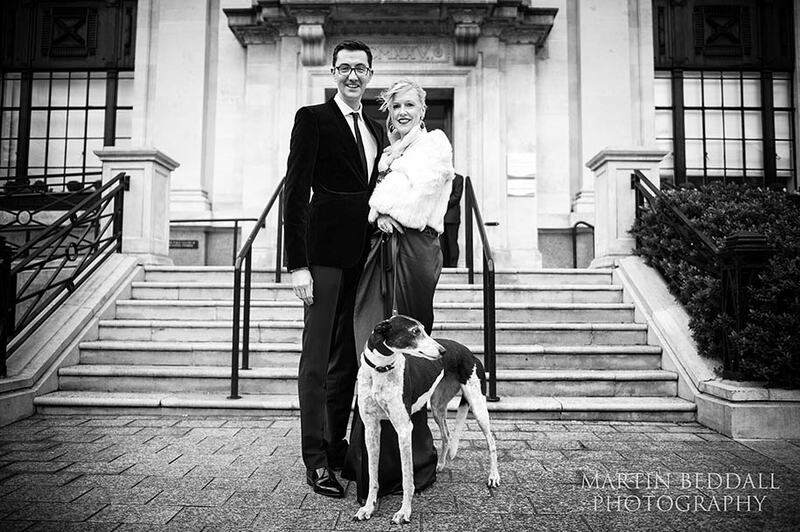 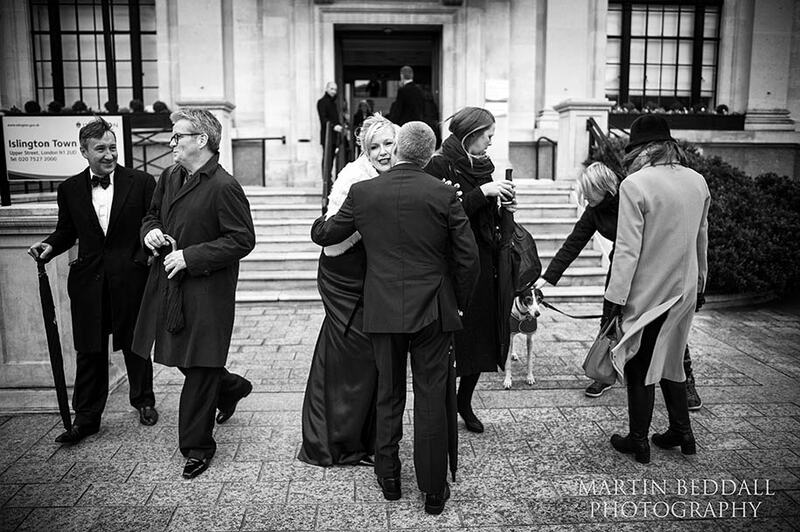 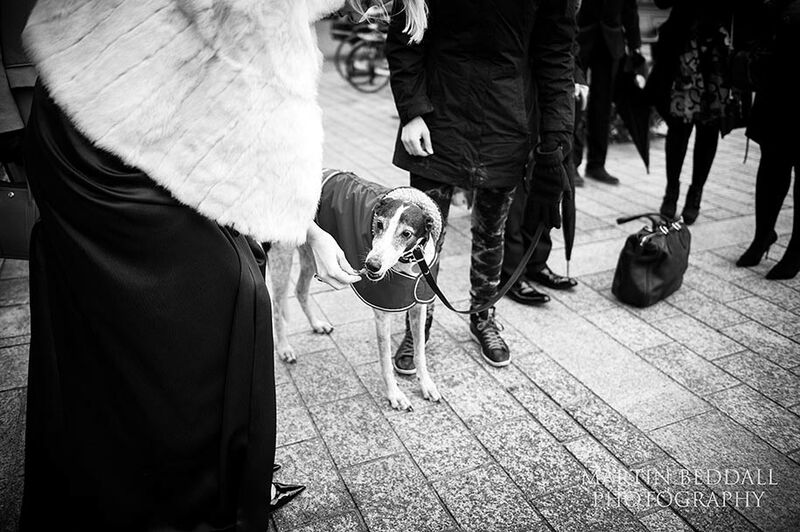 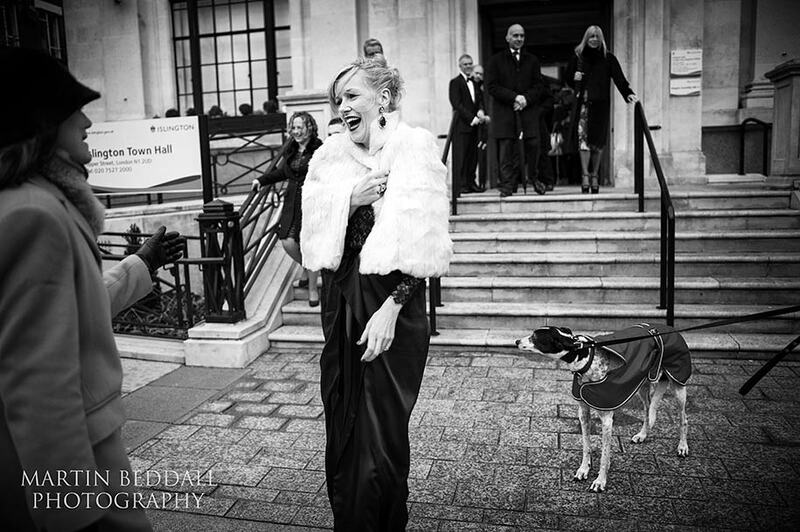 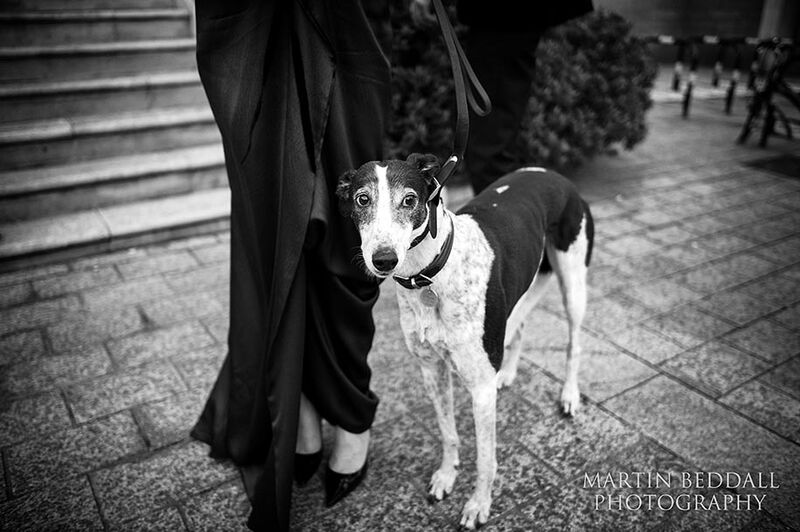 After the ceremony, Ruth and Nick’s greyhound, Betty, was on hand to greet the newly married couple. 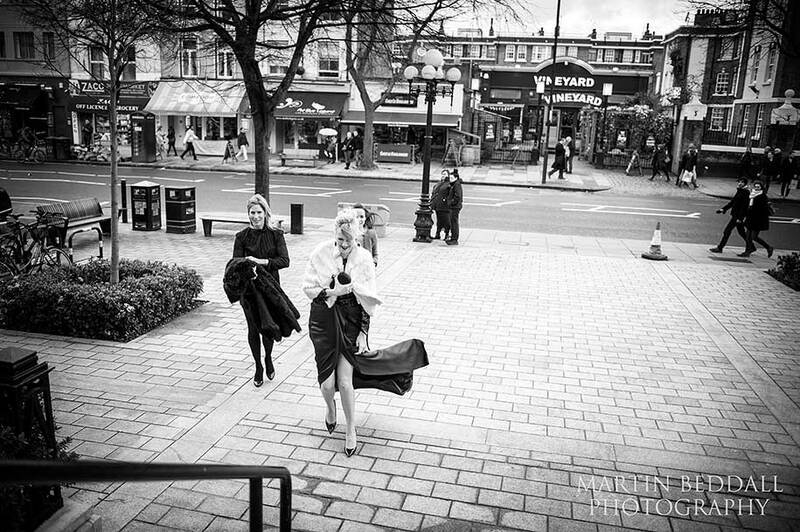 As Nick said in his speech, she looked a tad ‘p****d off’ in the cold and fading daylight. 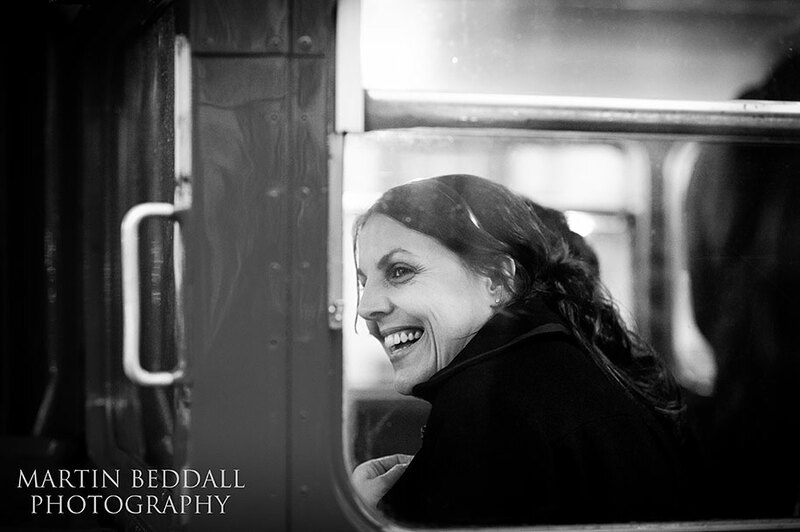 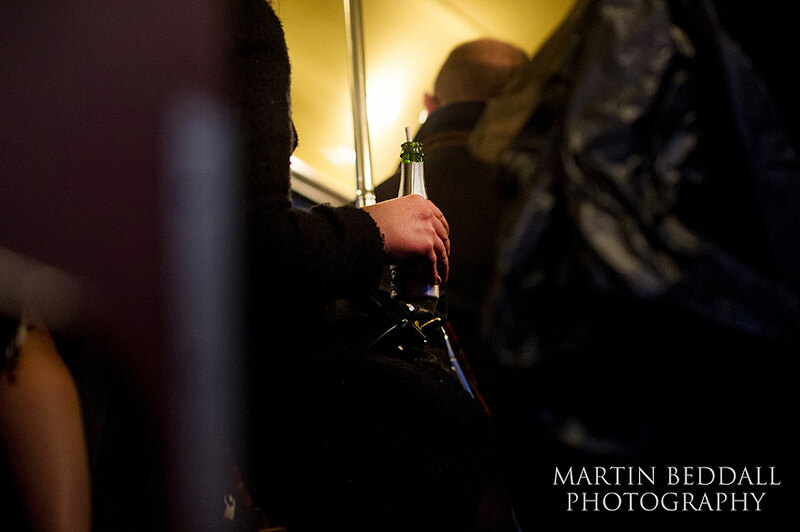 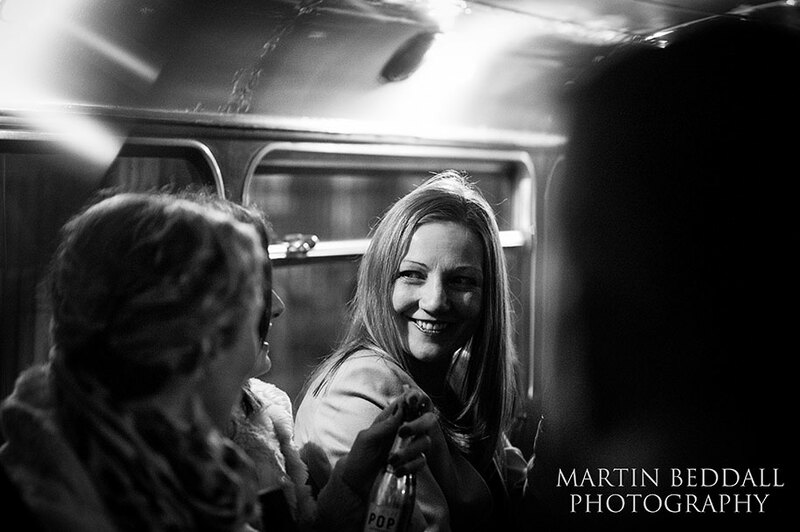 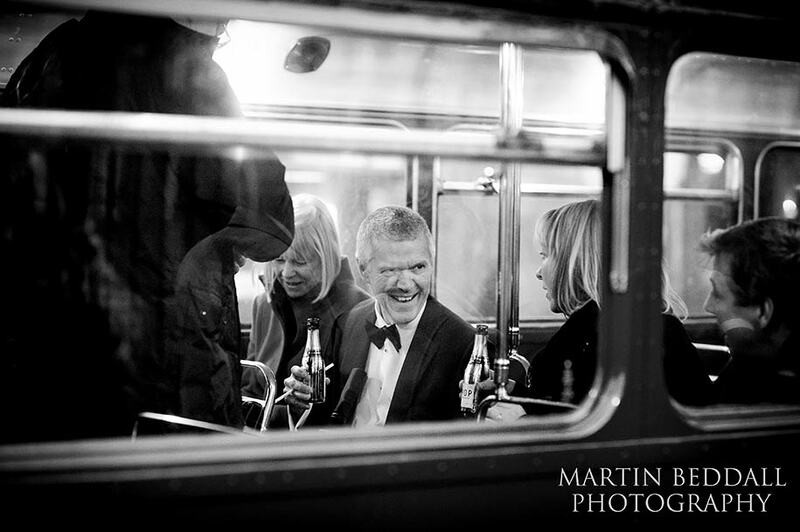 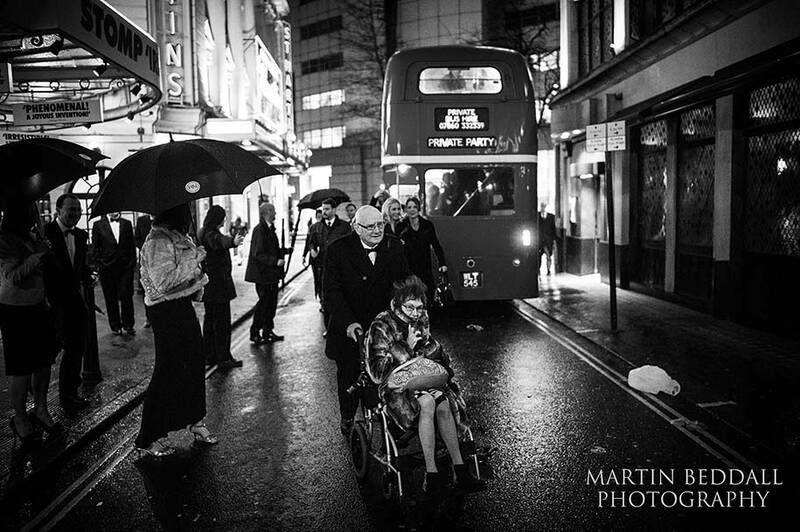 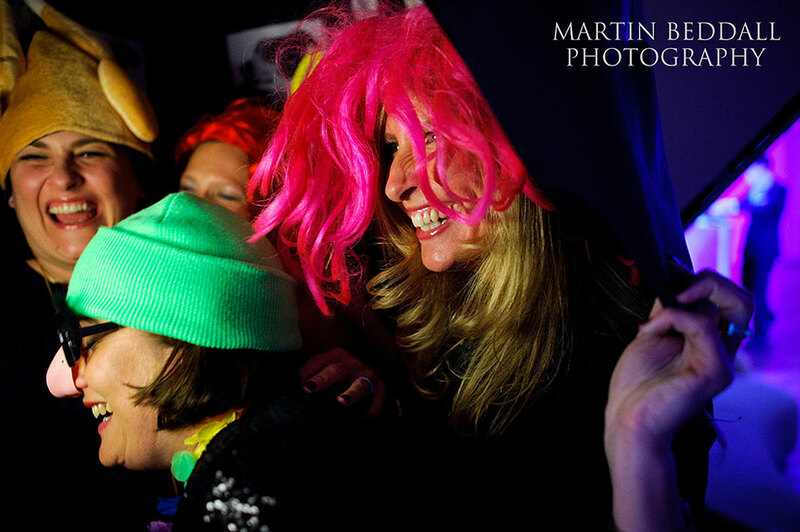 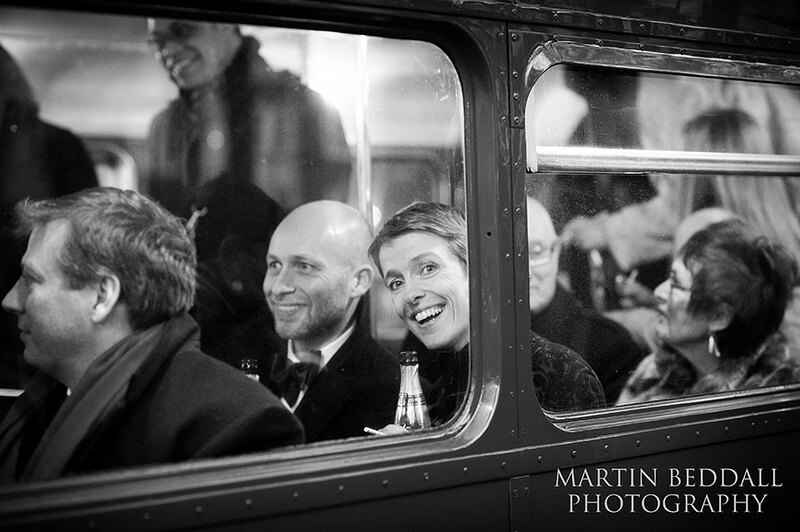 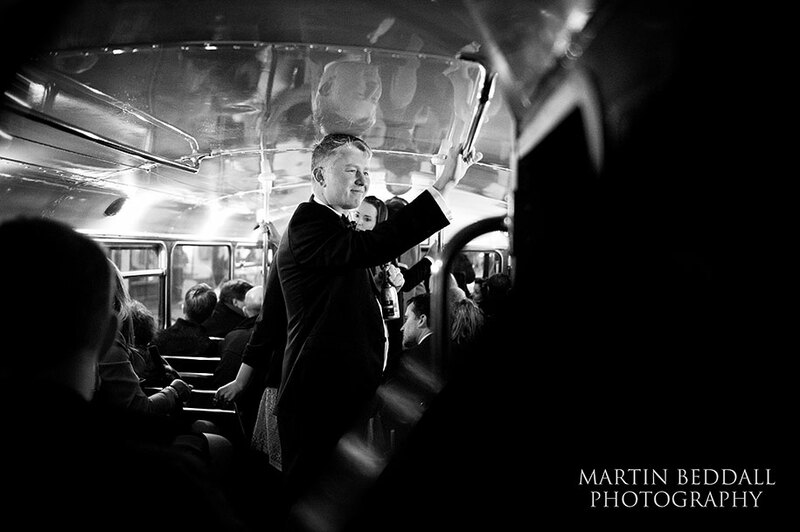 The guests then squeezed onto a traditional Routemaster bus for the journey to the club, just off Shaftesbury Avenue. 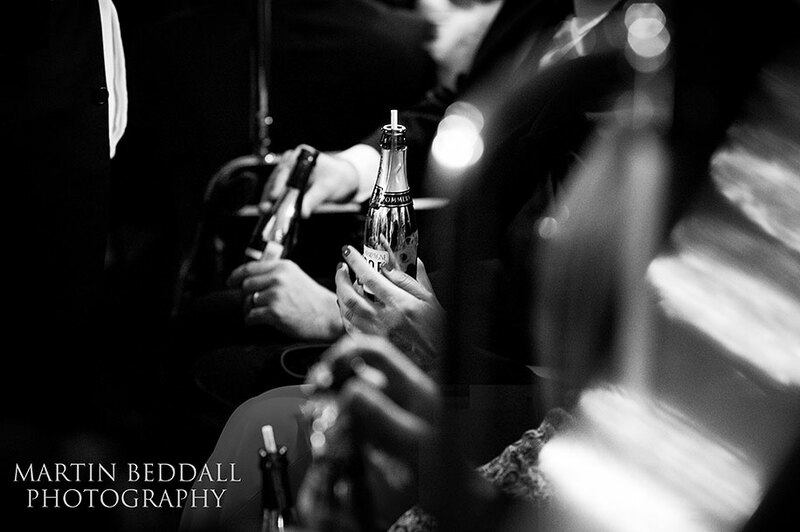 Small bottles of fizz to get the party started. 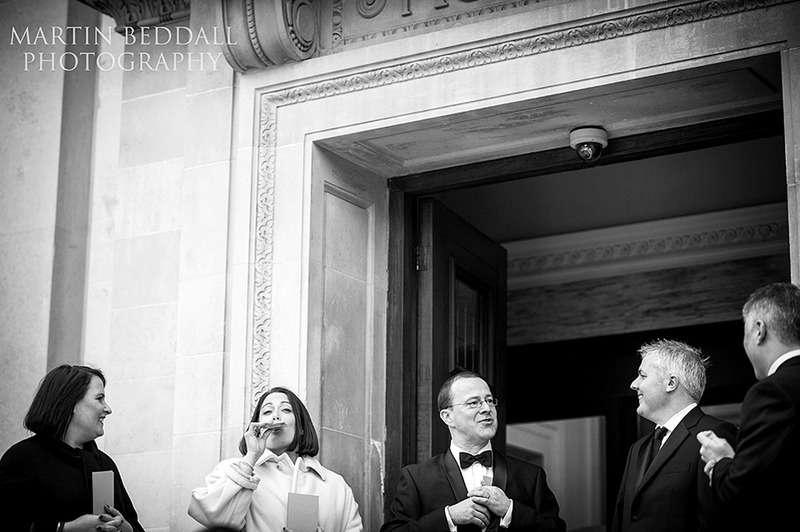 My now the rain had come and any thoughts of bride and groom portraits outside were knocked on the head. 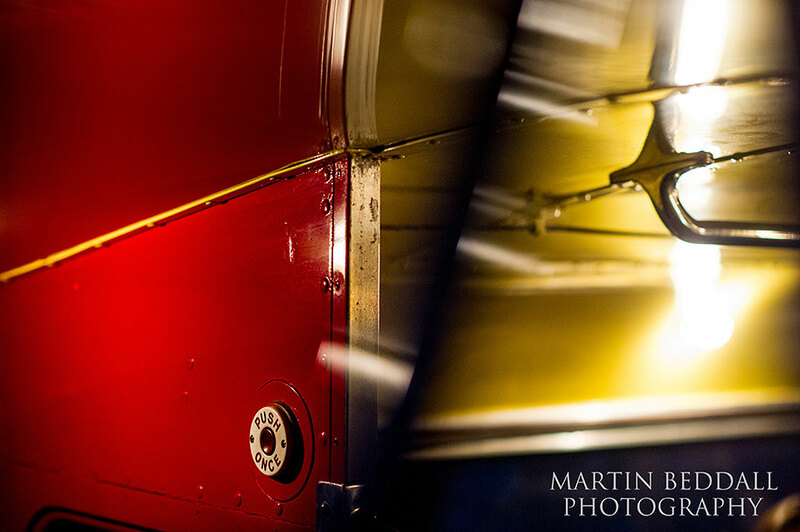 Inside was an interesting challenge in using available light. 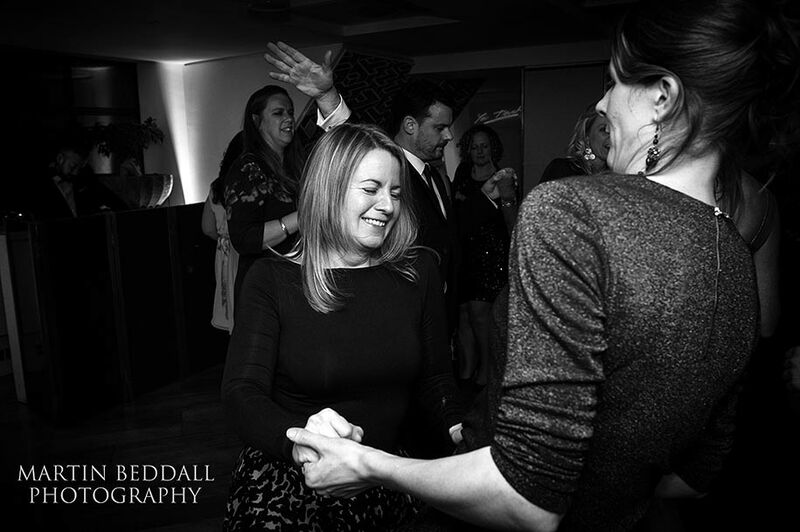 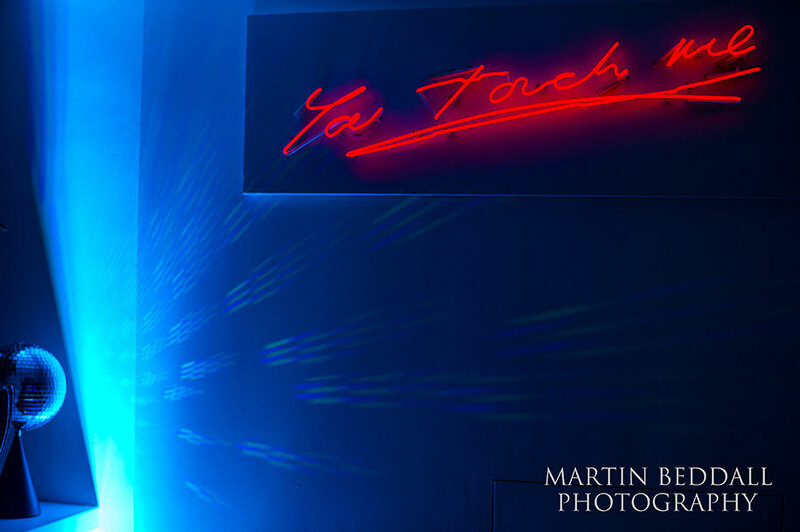 (One day mauve lighting will disappear…) For anyone interested, the last images, of the dancing were shot at 12800 iso – there were two professional photographers there as guests at the party who will know how mad that would have sounded like only a few years ago! 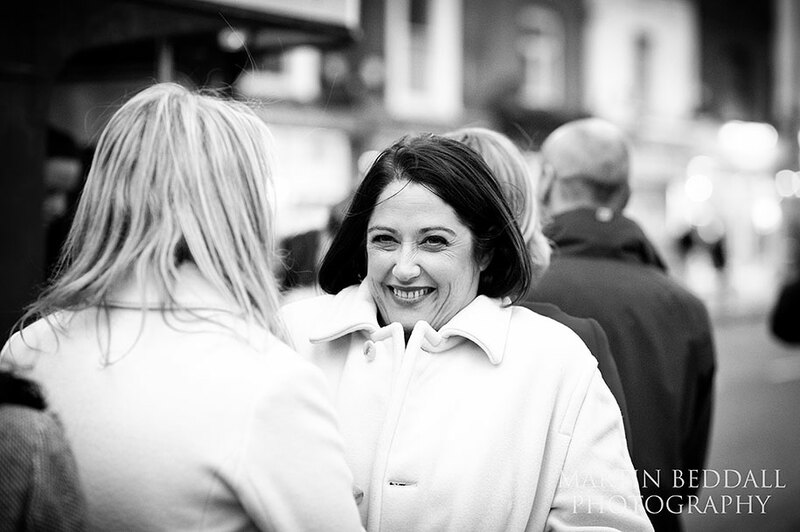 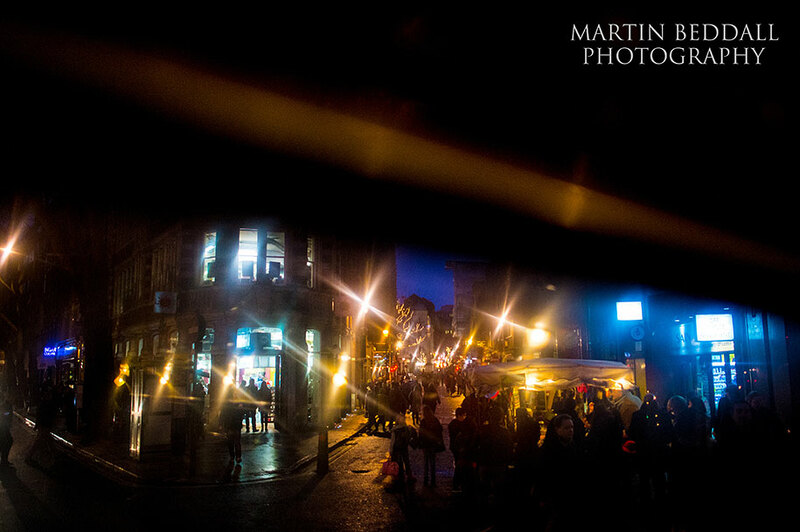 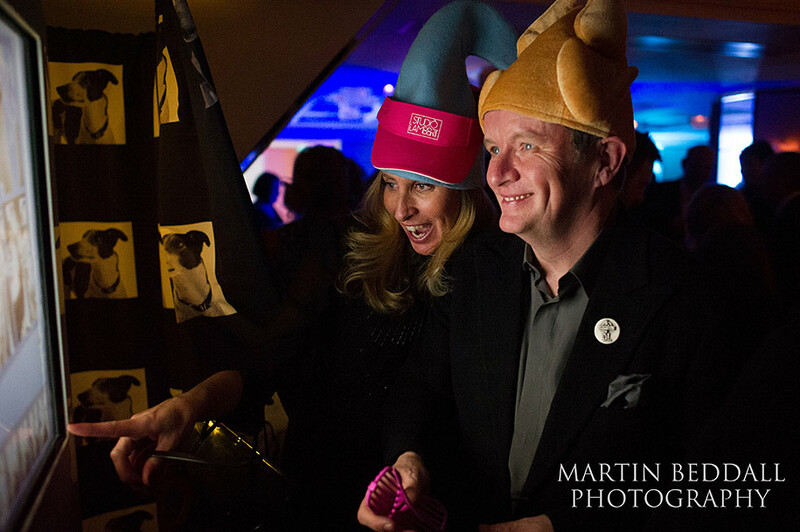 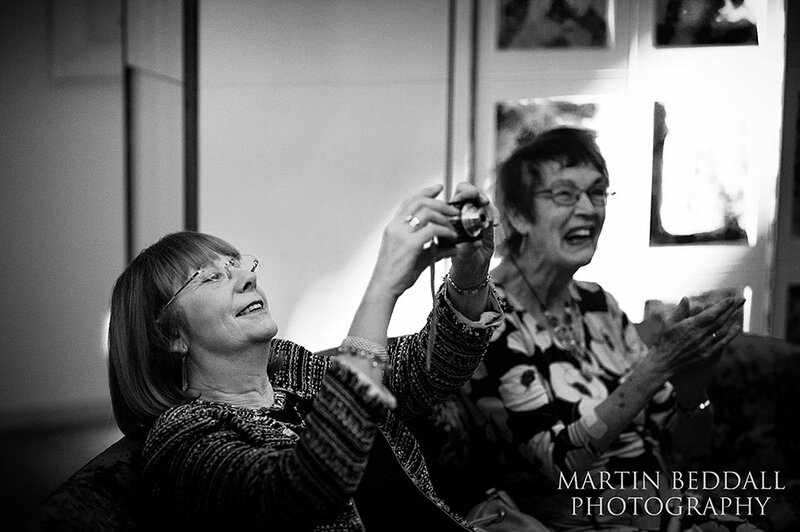 So, here are a few images from the day….